JonBenet's Bedroom (0241-19) THOMAS HANEY: So if we start off with photo number 1, can you just describe that and talk to us about that. 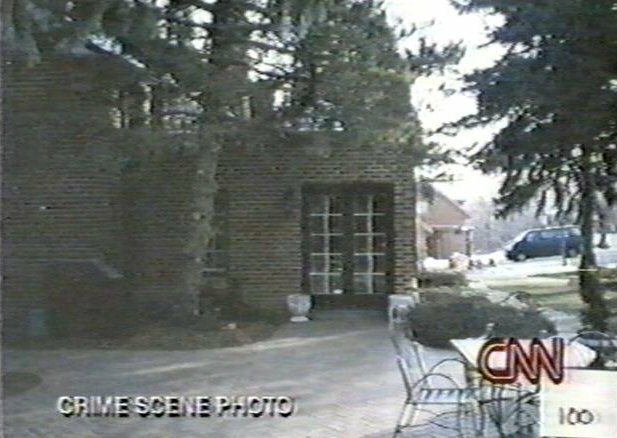 PATSY RAMSEY: Well, this is JonBenet's bedroom and this is the door outside to outside little den. Her bathroom would have been back behind the door. This is the bed she was sleeping in. This is the second twin bed. THOMAS HANEY: Are there any other things in photo number 1 that you can identify, say on top of this trunk there is some blue clothing item. Light blue. JonBenet's Christmas Sweater on bed (0242-21) THOMAS HANEY: Okay. How about number 2? PATSY RAMSEY: Oh, see, that's the pillow there. THOMAS HANEY: Okay. PATSY RAMSEY: Her Christmas sweater. THOMAS HANEY: When is the last time she wore the Christmas sweater? PATSY RAMSEY: I don't know exactly. THOMAS HANEY: Would that be where it would end up? PATSY RAMSEY: Uh-hum. THOMAS HANEY: So not unusual? PATSY RAMSEY: No. (0246-09) THOMAS HANEY: Okay, if we can go back to photo number of 2 so we don't jump too far ahead. It looks like there is a bedspread, I guess it's kind of a light -- PATSY RAMSEY: (Mumbling.) THOMAS HANEY: Whatever color that is. 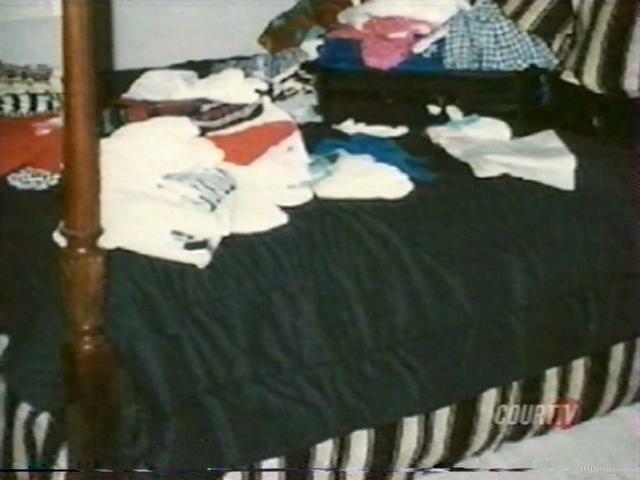 It appears to be covering about half, maybe a little bit more than half, fairly well distributed as far as hanging over the bed down to the -- (0246-05) PATSY RAMSEY: Normally it was made and it would be the fitted sheet and there was usually a top sheet. Kind of a bed sheet, you know. JonBenet's pink PJ top worn 12/25 (0679-03) MIKE KANE: Yeah. This is a photograph and it's numbered 3, actually if I could have that one too. 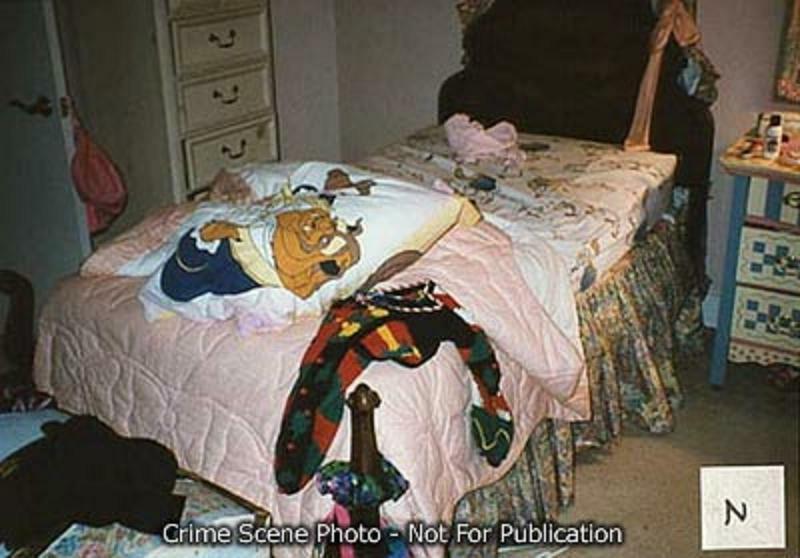 Just for the record, these are photographs number 2 and number 3 of JonBenet's bed, and that, there is a pink nightgown top in there. Does that look like one that she was wearing Christmas morning? JOHN RAMSEY: Yeah. It was kind of a knit long sleeve, long -- like long underwear kind of top it looks like. MIKE KANE: I think it's the same thing that's pictured in photo number 2? JonBenet's pink PJ top worn 12/25 (0242-16) TRIP DeMUTH: You can see it better on photo 3. PATSY RAMSEY: Oh, okay. That's the -- looks like a little pink pajama top, with long underwear. THOMAS HANEY: Was that part of a set of -- PATSY RAMSEY: Yes. THOMAS HANEY: -- tops and bottoms? PATSY RAMSEY: Top and bottom, yeah. THOMAS HANEY: And that, does that appear to be one or the other? PATSY RAMSEY: It looks sort of like the top, because there is a little tag, might be at the neck, you know. It may be inside-out. THOMAS HANEY: And if you can, do you know when JonBenet would have last worn that? PATSY RAMSEY: I know she wore it, she had this on Christmas Day. (0246-09) 9 TRIP DeMUTH: Pointing to photo 3. PATSY RAMSEY: There was a top sheet and then there was her blanket, this cotton blanket. THOMAS HANEY: And could you describe that? PATSY RAMSEY: I think it was kind of whitish, loose weave, you know. Kind of crocheted looking sort of, and that would have been, you know, all that stuff tucked in under the bed and then this is a comforter that just lays on top. You know. Hangs down to the -- just over the dust ruffle. These photos were taken the morning of the 26th. Stain on Carpet (0250-15) THOMAS HANEY: Okay. How about number 4 here, this is with that lamp on. And would that be normal, to leave that on? PATSY RAMSEY: No. Not when she is sleeping. THOMAS HANEY: Do you recall that lamp being on in the morning of the 26th? PATSY RAMSEY: No. I don't remember. TRIP DeMUTH: How do you turn that lamp on? PATSY RAMSEY: With, you know -- TRIP DeMUTH: You have to go to the lamp to turn it on? PATSY RAMSEY: Yes. TRIP DeMUTH: Not a light switch on the wall? PATSY RAMSEY: I don't think so. I can't remember. That was a fairly new lamp, I had just gotten that in New York, in December. I can't remember (INAUDIBLE). (0252-11) TRIP DeMUTH: Okay. I have one more on this one, Tom. There is a stain here on the carpet. Do you know what was spilled there or what that is? Do you remember a stain on the carpet in that area? PATSY RAMSEY: No. I remember I spilled red (INAUDIBLE) there one time and that was (INAUDIBLE). (Whispering into photographs.) No. - (0253-02) THOMAS HANEY: These photos were taken the morning of the 26th. TRIP DeMUTH: It was before JonBenet was found. (0257-22) PATSY RAMSEY: No, not that I can tell. I am just not sure what this little bag is here. - (0258-04) PATSY RAMSEY: I can't tell, it sort of looks like a little backpack, but it doesn't look like her backpack. I don't know what -- TRIP DeMUTH: It could be hers, you just can't tell? PATSY RAMSEY: Well, yeah, it could be. I can't see it that well. Looks like there is some little like sticker, decal or something right on there, a little patch or something. I can't make out what it is. Curio cabinet, crayons, doll house, pillow (0259-02) PATSY RAMSEY: A little curio cabinet with her crayons and things in it. I am trying to see. There is, the (INAUDIBLE) here, see that right there? I am quite sure what that was. I think I had taken most of those smaller ones over into the play room and put them up on the shelf. TRIP DeMUTH: Okay, and that's photo 7, right? PATSY RAMSEY: Uh-hum. The doll house. There is the pillow that I put on the front of the bed. (0259-14) THOMAS HANEY: But on number 7, anything that is obviously out of place or unusual about the pillow? PATSY RAMSEY: Well, I am just questioning about (INAUDIBLE). I know she had a (INAUDIBLE) there, but she had, lot -- a lot of little trophies sitting around here, but then I took them and put them on the shelf in the playroom. So I don't know. Little bag could be a purse (0259-23) THOMAS HANEY: Okay, that's 7. How about on to 8. There is a little shot partially covering it with the sticker. Let's peel that back. PATSY RAMSEY: This is a little some kind of bag. I can't -- THOMAS HANEY: Could it be a purse or something like that, would she have had something -- PATSY RAMSEY: I can't, you know (INAUDIBLE). Trophies laying around (0260-20) THOMAS HANEY: We will move on to number 10. PATSY RAMSEY: (INAUDIBLE RESPONSE.) THOMAS HANEY: Once again, anything out of place, unusual? PATSY RAMSEY: No, just -- nothing is jumping out at me. (0261-03) TRIP DeMUTH: You can see the trophy laying down? PATSY RAMSEY: Right, yeah. THOMAS HANEY: Does that look unusual now that you have had a better look at it? PATSY RAMSEY: It just seems like I took all of them, but that big one, to the playroom and put them up on the shelf because there was so many of them, and she had them all stacked around here. -- (0261-19) THOMAS HANEY: How about number 11. It's taken in a lot of different directions. PATSY RAMSEY: No, nothing unusual. Pot holder bands in middle of floor (0261-22) THOMAS HANEY: Number 12? PATSY RAMSEY: There is the pot holder stuff. THOMAS HANEY: So those pot holder things, did that appear to involve -- PATSY RAMSEY: She has got (INAUDIBLE). THOMAS HANEY: And that's the thing on the other bed? PATSY RAMSEY: Right. THOMAS HANEY: So these aren't like hair ties? PATSY RAMSEY: No, right. 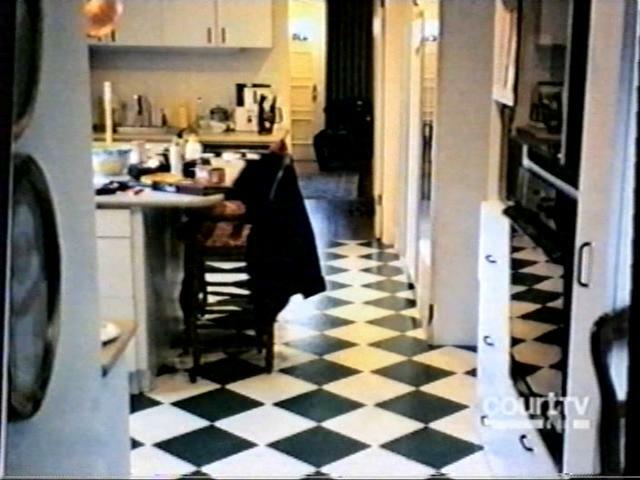 (0262-10) TRIP DeMUTH: Just for the tape, that's in photo 12 and it has a bunch of little circular bands on the middle of the floor and that's where she sat and was working on some pot holder; so that's not unusual to you? PATSY RAMSEY: No. Uh-hum. Hair ties on floor, pot holder instructions (0262-16) THOMAS HANEY: Okay. Move on to 13. PATSY RAMSEY: That was her hair tie, that little (INAUDIBLE). TRIP DeMUTH: That unusual for them to be on the floor? PATSY RAMSEY: No. - (0262-25) PATSY RAMSEY: No (INAUDIBLE). This piece of paper with the instructions forthe pot holder or something. Backpack (0264-15) TRIP DeMUTH: What is your recollection in 14 now to the bag? PATSY RAMSEY: It looks like a little backpack purse, sort of. TRIP DeMUTH: Does that look like something JonBenet would have had? PATSY RAMSEY: Yeah, I think she had a little backpack. Kind of shoulder, you know, two shoulder straps on it. Piece of paper and crowns on floor (0263-24) THOMAS HANEY: And 15? PATSY RAMSEY: There is a little note or something. I don't know what that is. A little piece of paper. THOMAS HANEY: A piece of paper on the floor between the bed and the dresser drawer? PATSY RAMSEY: I don't know. THOMAS HANEY: I don't know at this point. (0264-09) TRIP DeMUTH: What about these crowns on the floor there, is that unusual? Is that what that is? PATSY RAMSEY: Yeah, that's a little crown. Well, see, she kept them up here. You know, bumped it or something, they might fall off. Played with them, you know. (0264-16) THOMAS HANEY: Now you're looking at 16? PATSY RAMSEY: Uh-hum. (INAUDIBLE.) (Patsy Ramsey looking down into the photographs to respond.) PATSY RAMSEY: Nothing. (0265-08) PATSY RAMSEY: Looks like a pair of pants, little buckle (INAUDIBLE). THOMAS HANEY: Are they play things or -- PATSY RAMSEY: Yeah. THOMAS HANEY: You don't recall when she last wore them? PATSY RAMSEY: No. THOMAS HANEY: Anything else in 17 then, towels or anything that's -- PATSY RAMSEY: (INAUDIBLE RESPONSE.) TRIP DeMUTH: This might be the drawer open slightly. 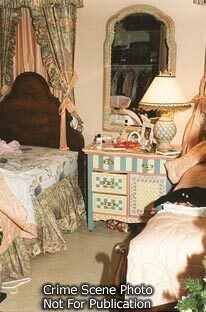 Which drawer would Barbie nightgown be in JonBenet's bathroom (0265-22) THOMAS HANEY: Number 18? TRIP DeMUTH: How about the red item in the upper right-hand corner? PATSY RAMSEY: I think it's a little turtleneck, a little cotton turtleneck, and I had wanted her to wear it to the Whites and she didn't want to wear it. TRIP DeMUTH: How did it end up there? PATSY RAMSEY: Don't remember. A crown. Oh, God. THOMAS HANEY: It's about 10:25. Do you want to take about a ten-minute break, how's that sound? We will come back. PATSY RAMSEY: (Crying.) (INAUDIBLE RESPONSE.) (Recess taken.) (0266-14) THOMAS HANEY: We are back on tape and it's about 10:59 a.m.
(0385-04) TRIP DEMUTH: Which drawer, looking at photo 18? PATSY RAMSEY: These. TRIP DEMUTH: This is her bathroom, her sink. Which drawer would the Barbie doll nightgown have been kept in? PATSY RAMSEY: Probably that one or the one below it. TRIP DEMUTH: The one that is opened or below it right there in photo 18? PATSY RAMSEY: Uh-huh. No toliet paper holder in JonBenet's bathroom (0272-24) THOMAS HANEY: I think we left off, finished with number 18, and it's a bathroom, so go to 19. PATSY RAMSEY: This one looks like somebody went to the potty and didn't flush. THOMAS HANEY: Okay, is that out of the ordinary? PATSY RAMSEY: Not terribly, no. THOMAS HANEY: Did you -- did you take JonBenet to the bathroom prior to putting her to bed? PATSY RAMSEY: No. THOMAS HANEY: Would she have gotten up during the night and gone to the bathroom? PATSY RAMSEY: Possibly. THOMAS HANEY: If she did, would she have flushed? PATSY RAMSEY: Not necessarily. (0273-18) 18 THOMAS HANEY: Anything else in number 19? PATSY RAMSEY: No. THOMAS HANEY: I notice that the roll of toilet paper is sit -- PATSY RAMSEY: It was not a roll, roll holder in that bathroom. THOMAS HANEY: Was that unusual, was there any reason or -- PATSY RAMSEY: No, there and there and there. (INAUDIBLE.) THOMAS HANEY: Was that common throughout the house? PATSY RAMSEY: No. When we bought that house, some of the bathrooms had toilet paper holders and some didn't. I mean a lot of little quirky things like that. We had to -- THOMAS HANEY: Anything else? PATSY RAMSEY: Nothing unusual. Little shopping bag (0274-12) THOMAS HANEY: 20. PATSY RAMSEY: This is the bathroom where we kept (INAUDIBLE) and things. I remember things there. THOMAS HANEY: That's behind the tub? PATSY RAMSEY: (INAUDIBLE.) Little shopping bag, I am not sure what's in that. (INAUDIBLE.) THOMAS HANEY: Again, that's not unusual? PATSY RAMSEY: No. Step stool moved in JonBenet's bathroom (0274-24) THOMAS HANEY: 21? PATSY RAMSEY: That's looking out from her bathroom into her room. These little steps, we don't use, we use these lamps here by the sink. (Patsy Ramsey has her hand in front of her face as she is talking.) PATSY RAMSEY: I am not sure, sure what's in there, but... THOMAS HANEY: It was normally -- PATSY RAMSEY: It was normally kept by the sink, because she would stand on it, brush her teeth. (0275-12) THOMAS HANEY: Did she move it around, though, to use it to reach other things that were higher up in her room? PATSY RAMSEY: Yeah. TRIP DeMUTH: Maybe up on the Christmas tree, an ornament or something? PATSY RAMSEY: Yeah, it was a little tippy, you know. It would have been pretty tippy on carpet. Patio door normally closed but not necessarily locked (0275-21) THOMAS HANEY: Okay. 22, would you try that, please. PATSY RAMSEY: It's the door out to the patio is ajar. Was it like that? TRIP DeMUTH: An officer told me he opened it to take that picture. PATSY RAMSEY: Oh, okay. That would typically be closed. THOMAS HANEY: Would it be locked? PATSY RAMSEY: Maybe, maybe not. I mean we have had occasions where people have gotten locked out there. So, and she would sometimes go out there and play and what not. And I think she had gotten locked out there one time, so maybe I might have unlocked it to keep that from happening. 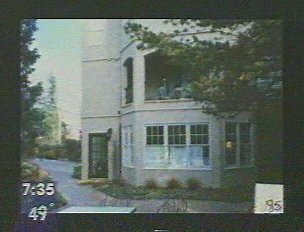 (0276-12) THOMAS HANEY: Did you ever have a concern with her playing out there on that patio, though? PATSY RAMSEY: Yes. I mean I didn't like her being out there. But you couldn't lock it so that you couldn't get from the inside to the outside. You just pulled down the handle, you could go out. If the door closed behind, then it was locked, then you can't get in. TRIP DeMUTH: So if you operate the door handle from inside, you know, sometimes when you operate a door handle from inside it unlocks the door and you have to relock it when you leave? PATSY RAMSEY: Right, right. TRIP DeMUTH: Would this one stay locked after you operated the door handle or would it unlock when you operated the door handle? PATSY RAMSEY: I don't remember. (0277-08) THOMAS HANEY: 23. PATSY RAMSEY: (Mumbling into hand.) (INAUDIBLE RESPONSE.) THOMAS HANEY: That's just that door standing open? PATSY RAMSEY: Uh-hum. Film and notebook belongs to police (0277-14) THOMAS HANEY: Number 24. TRIP DeMUTH: Some of those items belong to police officers, such as the notepad and the film cannister. PATSY RAMSEY: Oh. (INAUDIBLE.) (Mumbling.) Are these pictures that somebody took? TRIP DeMUTH: I believe so. I think they are Polaroid. PATSY RAMSEY: Okay. JonBenet's patio (0277-24) THOMAS HANEY: 25? PATSY RAMSEY: That's out on the little deck.THOMAS HANEY: And that's outside the door we described in 21 and 22? PATSY RAMSEY: Right. Jungle Gym (0278-05) TRIP DeMUTH: There is nothing unusual on the patio in 25, 26 or 27? PATSY RAMSEY: Uh-hum. I moved this out there from the playroom. TRIP DeMUTH: That's the mulit-colored jungle gym thing? PATSY RAMSEY: Right. TRIP DeMUTH: So that's where it belongs? PATSY RAMSEY: Yeah, I put it out there. Ironing Board (0278-16) 16 TRIP DeMUTH: 28 is the ironing board again? PATSY RAMSEY: Right. JAR did store things at Boulder house (0278-19) THOMAS HANEY: Okay. 29. PATSY RAMSEY: That's the (INAUDIBLE). That's where I was packing clothes, you know, to go on the different trips. TRIP DeMUTH: And you're pointing to the bed? PATSY RAMSEY: The bed. TRIP DeMUTH: What about this chair over here, what's on that chair? (0279-09) TRIP DeMUTH: What did you take? I mean the suitcases were on top of the bed. Where did you get those suitcases from, where were they stored? PATSY RAMSEY: Oh, where were they stored? Usually up in the bin in my dressing room, those open shelves, they would be right there. You know, I would work from them to pack on the bed. (0279-18) TRIP DeMUTH: Did you keep anything underneath that bed? My wife stores things under our bed. PATSY RAMSEY: No, I don't have anything under there. Get them out of the way sometimes. Could have been anything under there. I don't know. THOMAS HANEY: This dust ruffle? PATSY RAMSEY: Well, it's not hanging very straight right there. You know, it should be falling a little more smoothly. (INAUDIBLE.) THOMAS HANEY: What did you say? PATSY RAMSEY: I say I am wondering if somebody was under that bed. That was -- THOMAS HANEY: Did you go under that bed for anything when you were packing? PATSY RAMSEY: No. I can't remember. I mean, I never had a habit of putting things under that bed. Because it was -- it sat low, kind of low board, you couldn't get much under there. (0280-15) THOMAS HANEY: But that's John Andrew's room? PATSY RAMSEY: When he was there. You know, we just referred to it as his room. - (0280-22) THOMAS HANEY: Do you know when John Andrew last would have stayed there? PATSY RAMSEY: Not for sure. THOMAS HANEY: Did he store other things there? PATSY RAMSEY: I know he had some of his things, some college, at the house, but I really can't tell you where they were or what it was. THOMAS HANEY: But he would have had things of his in the house? PATSY RAMSEY: Yes. THOMAS HANEY: But you just can't say what for sure would have been in that room? PATSY RAMSEY: No. (0501-21) JOHN RAMSEY: We did when we sat down with Linda Arndt, she wanted to, you know, kind of get out of the crowd, she would sit down and tell me what to do when the call came, so we went into John Andrew's room. (0502-01) LOU SMIT: Did you look closets and things in that room? 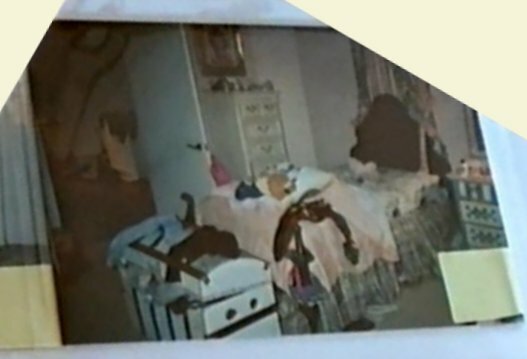 JOHN RAMSEY: Not that I remember.LOU SMIT: I am going to show you a picture of John Andrew's room and it's picture 29. That's this picture right here and your head might be in the way there. Picture 29. And what it is, you tell me which room that is, and see if you can make any observations of that room and then I will touch on something a little bit later. This was taken during the kidnapping phase. (0502-14) JOHN RAMSEY: It's John Andrew's room. There are some clothes piled on the chair, which isn't unusual. Maybe it's a backpack. Some red thing with a black and white looks like it might be one of JonBenet's outfits. Clothes stacked. LOU SMIT: Do you remember looking under the bed? JOHN RAMSEY: (Shaking head). (0502-23) LOU SMIT: Take a look at the ruffle on the bed. JOHN RAMSEY: It's disturbed. And I didn't look under the bed. It's pulled out. LOU SMIT: Is that something that would be usual or unusual? JOHN RAMSEY: Well, it may be a bit unusual. That room didn't get used much and the cleaning ladies would clean it and make it neat and Patsy used it to fold laundry, on top of the bed, but it didn't get used. So you know, somebody would have straightened that out when they cleaned the room, I am sure. It's a little unusual I would say. JAR's bed used for packing for Big Red Boat trip (0281-16) THOMAS HANEY: Speaking of clothes, you're packing for this trip in that photo and in 30, and that's where, for the Big Red Boat? PATSY RAMSEY: Right. (0282-12) THOMAS HANEY: Do you see anything unusual in photograph 30? PATSY RAMSEY: I use that bed with all the clothes on, so. There were several, a lot of clothes, you know. TRIP DeMUTH: Did you recover in this room when you had cancer? PATSY RAMSEY: Uh-hum. Green Tupperware trunk (0383-05) THOMAS HANEY: 31. PATSY RAMSEY: We had run a videotape out there. I wonder why those are out there. (INAUDIBLE.) TRIP DeMUTH: Do you keep videotapes in that room? PATSY RAMSEY: There was some videos in this cabinet here, mostly ones that were older, you know, that the kids used more when they were really young, with Barney and those kind of things. I don't know why those would be on the floor. TRIP DeMUTH: Were you going to take videos with you to Charlevoix or to the Big Red Boat for any reason? PATSY RAMSEY: No. I mean, we may have wanted to take some to Charlevoix, but typically the ones that the kids had watched, you know, more currently, would be in their room. (0283-25) THOMAS HANEY: Okay. Other than the videos, anything unusual in picture 31? PATSY RAMSEY: No. See, this is -- this is the suitcase I was packing and this is on the bed. TRIP DeMUTH: Yes. What's that, the -- PATSY RAMSEY: That's where I kept summer clothes, you know, when I transitioned. TRIP DeMUTH: And you're referring to the large -- PATSY RAMSEY: Tupperware trunk kind of thing. Green. Probably digging in there looking for shorts and beach wear, things that I wanted to wear. (0284-23) THOMAS HANEY: What's normally stored in those? PATSY RAMSEY: Well, that's usually where I kept my supplies for my -- when I was taking chemo, when I had my shots and my little alcohol wipes, thermometers, and all that of stuff. And I could have been looking through, looking for a thermometer to take on vacation. TRIP DeMUTH: What's in the draw below that one? There are two drawers open? PATSY RAMSEY: I don't know, I don't know. I just hadn't used it, all that area, that much. (0285-12) THOMAS HANEY: Okay. Number 33. 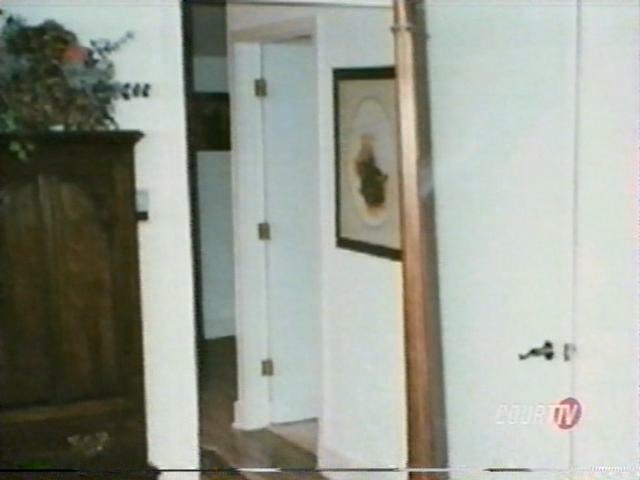 PATSY RAMSEY: This is the shot of the bedroom, looking out through the door to her door. THOMAS HANEY: Anything unusual or out of place or -- PATSY RAMSEY: No. (0286-10) TRIP DeMUTH: Could the kids get in there? Play in this room? PATSY RAMSEY: Not really. It was kind of a -- they didn't do it too much. THOMAS HANEY: They kind of consider it -- PATSY RAMSEY: Yeah. THOMAS HANEY: -- off-limits? PATSY RAMSEY: It was just kind of back out of the way and nobody really -- TRIP DeMUTH: How about John? PATSY RAMSEY: Big John? TRIP DeMUTH: Uh-hum. PATSY RAMSEY: I must have just used it for folding clothes and packing and, you know. Kids Playroom (0287-05) THOMAS HANEY: 36. TRIP DeMUTH: Is this where you moved the trophies to? PATSY RAMSEY: Yes, right. TRIP DeMUTH: This is a picture of what? PATSY RAMSEY: The playroom, that's the playroom. TRIP DeMUTH: Does it look normal? PATSY RAMSEY: Yes, pretty much in a mess. Kids Playroom, broken door (0287-16) TRIP DeMUTH: 37? PATSY RAMSEY: That's just another shot of the same room. That door fell off, it was off its hinges. Something was the matter with that door, so that's why -- having it put back up. THOMAS HANEY: So that's not unusual? PATSY RAMSEY: Uh-uh. Patsy fetched portfolio 12/26/96 (0288-05) THOMAS HANEY: 39? PATSY RAMSEY: This is the guest room, where mother used to stay. THOMAS HANEY: And do you recall when she last stayed there? PATSY RAMSEY: Oh, God, no. Not exactly. I kept all her pageant clothes in that closet. Costumes and stuff and that kind of thing. THOMAS HANEY: And so you were in and out of that room? PATSY RAMSEY: Yes, I always used that room. - (0288-18) THOMAS HANEY: Did anybody else use it, anybody stay there? PATSY RAMSEY: Not in recent times. (0289-03) PATSY RAMSEY: Yeah, right. As a matter of fact, I ran upstairs, at one time they asked me for a picture, and when they were -- when everybody was getting -- whatever they were doing, you know, they needed a picture of her. And I went upstairs and got the portfolios out of the closet and probably laid it on the bed and looked through it and seen a picture of her in this cute T-shirt, you know. TRIP DeMUTH: Okay. PATSY RAMSEY: Kind of where I put the pageant stuff. Burke's Bedroom, JonBenet's jewelry, train set (0289-18) THOMAS HANEY: Number 40. PATSY RAMSEY: That's Burke's room, that's the entry to Burke's room. 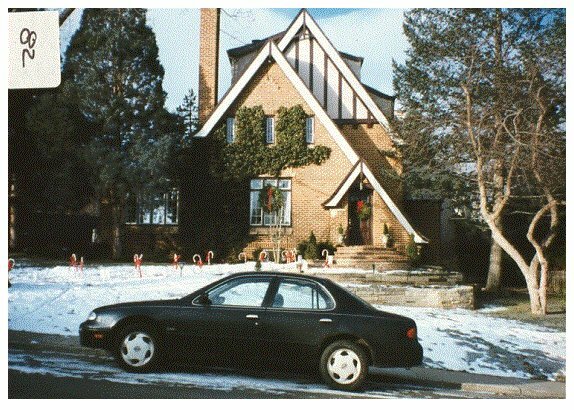 This is where if the kids were there that day, JonBenet was sitting in here making a little jewelry thing. That's a little jewelry kind of case thing and jewelry art thing. TRIP DeMUTH: Okay. The pink -- PATSY RAMSEY: The pink box. TRIP DeMUTH: -- is the jewelry thing? PATSY RAMSEY: Jewelry. TRIP DeMUTH: Does that look normal? PATSY RAMSEY: Yes. I remember. That's why I kind of looked down at the floor where they were playing. (0290-10) TRIP DeMUTH: Looks like a train set or something? PATSY RAMSEY: Yeah, a train set. TRIP DeMUTH: But that's all normal? PATSY RAMSEY: Yes. THOMAS HANEY: It's not confined to the train room? PATSY RAMSEY: No, it's not. I think he had tried to bring it up to go around this tree. Burke's Bedroom (0290-21) THOMAS HANEY: 41? PATSY RAMSEY: That's (INAUDIBLE). Who's that? THOMAS HANEY: That's one of the officers. A Pen (0299-13) THOMAS HANEY: Okay. Anything else on those photos, 41, 42? PATSY RAMSEY: They made Burke's bed, that's unusual. THOMAS HANEY: I think there may be some explanation for that, but he normally wouldn't do that? PATSY RAMSEY: No. He still doesn't. THOMAS HANEY: Is -- okay. That's never a part of his morning routine? PATSY RAMSEY: Trying to be. TRIP DeMUTH: You're looking at 42 now, right? (0300-02) PATSY RAMSEY: I was just looking at this white stuff, you know. (INAUDIBLE.) I see that little -- THOMAS HANEY: Yeah. That's an over-write, some sort of a blur. PATSY RAMSEY: That's a toy box. THOMAS HANEY: Okay, toy box, so it looks like a pen or something like that? PATSY RAMSEY: Yes. TRIP DeMUTH: How is his door left when he is sleeping in his room, or how did you used to leave it when he went to bed, Burke? PATSY RAMSEY: Usually just ajar a little bit. - (0300-25) THOMAS HANEY: Are you ready to go on to 43 now? PATSY RAMSEY: Uh-hum. THOMAS HANEY: Okay. PATSY RAMSEY: That's a shot from Burke's room down the hall to the playroom. TRIP DeMUTH: Nothing unusual, or anything unusual there? PATSY RAMSEY: I can't make out what that is. A toy or something. A little -- (0301-15) PATSY RAMSEY: Looks like kind of the top of the stairs, the top of wooden stairs coming up from the front foyer. THOMAS HANEY: Okay. Does it look like a present or -- PATSY RAMSEY: No. I don't know. It's open like a book or something. Stairwell to 3rd floor (0301-22) THOMAS HANEY: 44 now. PATSY RAMSEY: Looks like the stairwell up to our room from the laundry room. THOMAS HANEY: So that's where you screamed for John? PATSY RAMSEY: Yes, right. TRIP DeMUTH: As shown in picture 44? PATSY RAMSEY: 44, uh-hum. THOMAS HANEY: And it would have been from about that location? PATSY RAMSEY: Yes. THOMAS HANEY: About where it's taken from? PATSY RAMSEY: Yes. Steps to 3rd Floor (0302-12) THOMAS HANEY: And 45? PATSY RAMSEY: That's going up to the top of the steps. Side room. 3rd Floor Bedroom (0302-15) THOMAS HANEY: 46 was your room? PATSY RAMSEY: Uh-hum. 3rd Floor Bedroom (0302-17) TRIP DeMUTH: 47? Everything seem okay? PATSY RAMSEY: Uh-hum. Bathrobe (0302-20) TRIP DeMUTH: 48, what is that? PATSY RAMSEY: That's John's study, back -- TRIP DeMUTH: To the right? PATSY RAMSEY: Where you turn right, uh-hum. 1 TRIP DeMUTH: Do you know what this is? It's hard to see, in the back lower corner? Does that look like his bathrobe? PATSY RAMSEY: I don't know. Looks like a sweater or something. TRIP DeMUTH: Would it be unusual for John to put his bathrobe down on the floor in that area? PATSY RAMSEY: Yeah. Because he usually hangs it up in his bathroom. Unless, you know, he was starting to put it on when I screamed for him and he dropped it or something. Black mink coat, Men's leather jacket with fur lining, mink hat with earmuffs, mink after ski boots with leopard fur? (0303-13) TRIP DeMUTH: What are we on, 49? What is that, Patsy? PATSY RAMSEY: This is my closet. TRIP DeMUTH: Still look normal? PATSY RAMSEY: Yep. TRIP DeMUTH: What about the shoes in that picture? PATSY RAMSEY: What do you mean? TRIP DeMUTH: Is that how you left them? PATSY RAMSEY: Probably. Just kind of thrown in? TRIP DeMUTH: Yeah. PATSY RAMSEY: Yeah. It wouldn't be unusual. TRIP DeMUTH: Okay. (0304-12) THOMAS HANEY: How about a fur coat, did you have fur coats? PATSY RAMSEY: Yes, I had fur coats. THOMAS HANEY: Was it at the house or in storage or -- PATSY RAMSEY: It was at the house, black mink. THOMAS HANEY: Mink, okay. How about boots, gloves, jackets, other things that would have had fur on it? PATSY RAMSEY: There is a leather jacket that has a fur lining, men's leather jacket. It was John's. It was reversible. THOMAS HANEY: Do you know what type of fur that would have been? PATSY RAMSEY: Well, it was like real low cut, black shiny pile. THOMAS HANEY: Was it real fur? PATSY RAMSEY: Yeah. THOMAS HANEY: Real fur? Okay. And he had gloves, hats? (0305-09) PATSY RAMSEY: Oh, I had a black mink like muffler kind of hat, like a ring kind of thing you wear, two balls hanging down, earmuffs kind of thing. Two balls hanging down. THOMAS HANEY: That was mink also? PATSY RAMSEY: Uh-hum. I had a pair of after-ski boots, black, I don't know what kind of fur it was. Technica or something like that. It had like a little Indian braiding around it or something, black fringe. It was kind of, I don't know, leopard fur kind of thing. THOMAS HANEY: Was it artificial? PATSY RAMSEY: No, I think it's real, but it was probably mink or something. THOMAS HANEY: Anything else in 49? PATSY RAMSEY: No. Ironing Board, JonBenet red jumpsuit missing? (0310-04) THOMAS HANEY: In 50, that's another shot of that ironing board? TRIP DeMUTH: They do that for every roll, they put that in, identifying the roll. (Mumbling.) (INAUDIBLE.) PATSY RAMSEY: I wonder where the little red suit is, her little red -- that little jumpsuit. Which I don't see a picture in this. That was that morning. THOMAS HANEY: Right, and I think we will come to that, yes. Go on to 51. (0310-21) THOMAS HANEY: 52? PATSY RAMSEY: Looks like a plastic bag with clothes in it. That might have been the bag going to the lake. This looks like a Christmas sweater in there. TRIP DeMUTH: And when you say "going to the lake," what does that mean? PATSY RAMSEY: The morning of the 26th we were going up to the -- we call -- TRIP DeMUTH: To Charlevoix? PATSY RAMSEY: We call it the lake, yeah. THOMAS HANEY: 52 shows the spiral stairs coming down? PATSY RAMSEY: Uh-hum, right. (0311-11) THOMAS HANEY: And not to look too much, but would you just indicate which step that note would have been on? PATSY RAMSEY: Around there (indicating). THOMAS HANEY: You indicated the second step from the floor? PATSY RAMSEY: Uh-hum. THOMAS HANEY: And that laid out left to right, pages 1, 2 and 3? PATSY RAMSEY: Yeah. (0315-23) THOMAS HANEY: Anything else in that photo, so the bag, the plastic bag? PATSY RAMSEY: I thought I had left that at the top of the stairs. Now, I don't know, somebody moved it down there, or if it fell down or -- THOMAS HANEY: Could you have been carrying it down that morning? PATSY RAMSEY: Could have. And I could have just stopped right there and let it down and read the note. That's possible. (0316-09) THOMAS HANEY: And then you pointed also to this, what, red and white item? PATSY RAMSEY: Yes, it's almost like a Christmas decorated sweater. THOMAS HANEY: Was that something that you had intended to take on the plane? PATSY RAMSEY: Yeah. THOMAS HANEY: Okay. How this little table here in the hallway? PATSY RAMSEY: Kind of catch-all stuff. (0316-20) THOMAS HANEY: Among the things that you put on this, what were they? PATSY RAMSEY: Well, this looks like a book Priscilla gave me. I mean she was in recently. I think it's called like "Simple Abundance" or something like that. I don't know what that (INAUDIBLE), kind of that multicolor. (0317-14) THOMAS HANEY: Is there anything in particular that's normally kept on that -- PATSY RAMSEY: No, it's just kind of a catch-all when you come in off the -- this looks like -- that black thing there looks like a Daytimer or something. THOMAS HANEY: Would that be yours or John's? PATSY RAMSEY: It might have been John's. (0318-04) PATSY RAMSEY: Well, back here there is a door, glass door that went out to the patio. It seemed like I stacked some Christmas stuff, like shopping bags with Christmas presents in it. Just, you know, remember to take that going out the door. Things for downstairs storage, plastic bag (0504-25) LOU SMIT: Okay. Now, I am going to show you two photographs; that's number 52 and number 645, that shows that particular area. And I will show that for the camera. Can you pick that up? And these were taken again during the kidnapping phase of the investigation. Now, if you will just take, first of all, 52 and tell me what you see there? (0505-09) JOHN RAMSEY: Well, it's the back hall. There is a couple of things over here by the stairway that would have been put there to take downstairs for storage. There's a plastic bag. LOU SMIT: Do you know what's in that bag? JOHN RAMSEY: Not for sure. LOU SMIT: Do you know why it's there? JOHN RAMSEY: Not for sure. No. It don't -- it doesn't (INAUDIBLE). LOU SMIT: Did here Patsy say where she got the note from? JOHN RAMSEY: She said it was on one of the steps, I think the third step or the second step of this spiral staircase. (0508-12) 12 SMIT: Just one more question. I have got a photograph here called 17.7. Somehow this is in your roll of pictures or someone's roll of pictures from before, okay, and it shows, first of all, put it to the camera so they can see that. And I am going to show you that. (0508-20) LOU SMIT: Do you know who would have taken that photograph? JOHN RAMSEY: It's remotely possible that I was having trouble with my camera, I think, and I don't remember doing this, but I can remember just clicking the camera, trying to see if it worked. LOU SMIT: When was that? JOHN RAMSEY: I mean, I don't know. I mean it was, you know, the only time we got the cameras out were typically at Christmas time. But this looks like the pad frankly that I gave her. LOU SMIT: Does that look like the spot where you would -- that you picked it up from? JOHN RAMSEY: Yes, my recollection, yeah. LOU SMIT: So that could be the actual pad of a picture taken prior to what happened? JOHN RAMSEY: That's possible. (0509-07) LOU SMIT: What else do you notice? JOHN RAMSEY: Well, this bag is still there, the school bag in the corner. The toy is still roughly where it was. There is a, I think that was a Santa Claus or something that was -- LOU SMIT: Santa Claus suit? JOHN RAMSEY: Suit, yeah, or something, likes look. I don't remember what it was. But that's there. Looks like it's still in this picture. This red present is still there. Day-Timer is not there in this picture. LOU SMIT: What? JOHN RAMSEY: The Day-Timer doesn't look like it's there in this picture. LOU SMIT: In the picture taken prior, the Day-Timer is not there? JOHN RAMSEY: Right. I think that is -- I think that is my Day-Timer, but I am not sure. I had one that was similar, black. (0511-13) LOU SMIT: You notice the bags that are in this picture dated prior, the prior one, the bags, the plastic bags, does it appear as they have been moved to you? JOHN RAMSEY: Uh-hum. Definitely. LOU SMIT: Do you know why they would have been moved? JOHN RAMSEY: I don't know what's in there. 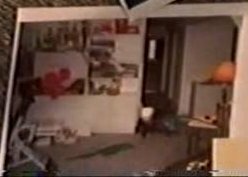 I mean it -- there is something else of course here on the floor, looks like a stocking or something, Christmas stocking. But no, I don't. I mean I can't -- sometimes when we bag up clothes that we were going to give away, you know, that might have been what that was. JonBenet's little red jumpsuit (0331-09) TOM HANEY: 54. PATSY RAMSEY: Somewhere in there, that looks like her little red jump suit there. TOM HANEY: I think we do have -- excuse me, a little better of that. Anything else in that? PATSY RAMSEY: Nothing else. 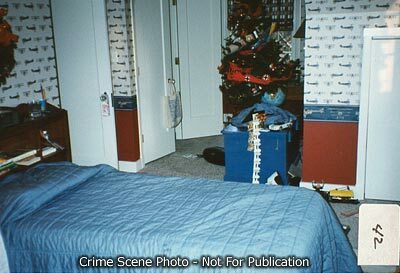 BPD Crime Scene Photo Discussion - JonBenet's Bedroom ? JonBenet's black shoes with leopard skin, Gift bag? (0331-15) TOM HANEY: Okay. 55. PATSY RAMSEY: The (inaudible), house. These are little -- the little black shoes with the leopard or whatever skin on it. TOM HANEY: Those are on the floor inside the door? PATSY RAMSEY: I believe she wore those with her little velvet outfit. TOM HANEY: What about? PATSY RAMSEY: (Inaudible). TOM HANEY: Do you know what was in there? PATSY RAMSEY: No. We had a lot of presents around. I wrapped a lot of gifts, don't know what was in there. TOM HANEY: There is another photo of that bag. PATSY RAMSEY: Uh-huh. Clothes Dryer (0332-07) TOM HANEY: Fifty-six. PATSY RAMSEY: This is the laundry area there. I hang things out to dry here. TOM HANEY: Can you identify any of the items that are there as having been worn recently? PATSY RAMSEY: Not really. I can't really tell what they are. TOM HANEY: There is one item up here, I think a dryer. PATSY RAMSEY: A dryer, yeah. Pull-ups hanging out of top cabinet upstairs kitchen (0333-01) TRIP DEMUTH: Fifty-seven and 58. TOM HANEY: Why don't you tell us what that is. PATSY RAMSEY: That is the red jump suit that she wore at the performance at the little jacket (inaudible). TOM HANEY: What color is the jacket? PATSY RAMSEY: It is red velvet. 9 TOM HANEY: What were you doing with that jump suit that morning? PATSY RAMSEY: There were some spots on it, and I was kind of looking at them thinking that when I got back from the lake I would take it to the dry-cleaner or whatever. (0335-22) TOM HANEY: Back to photo 57, this top cabinet, it is closed in this particular photo. PATSY RAMSEY: Uh-huh. TOM HANEY: What is normally kept in there, if you recall? PATSY RAMSEY: Tissue. TOM HANEY: In the video that the police took walking through, which was taken some time later, there are -- there is packages of Pull-ups. PATSY RAMSEY: They would be in there, yeah. TOM HANEY: All right. They are partially hanging out in the video? PATSY RAMSEY: Yup. TOM HANEY: Would those be the Pull-ups that you would normally put on JonBenet? PATSY RAMSEY: Right. Detergent, spray starch, fabric softener, sewing box (0333-01) TRIP DEMUTH: Fifty-seven and 58. - (0333-15) PATSY RAMSEY: A kitchen knife. TOM HANEY: What would that be doing there? PATSY RAMSEY: I don't know. TOM HANEY: It does look like a kitchen knife. PATSY RAMSEY: Uh-huh. I don't know what it is doing there. TOM HANEY: Do you recall yourself having anything to do with that knife being there? PATSY RAMSEY: No. Is it on something? Is that -- (0334-05) PATSY RAMSEY: I'm not sure if that is one of my kitchen knives, to tell you the truth. That must be something. TOM HANEY: We would have that. PATSY RAMSEY: I could see that. In the picture it looks like it is a very thin blade, like a grapefruit knife or something. TOM HANEY: What about the handle? PATSY RAMSEY: I had some wooden handle knives, but I don't know why I would have it there in the kitchen, you know. I don't know why it is there. (0337-01) TRIP DEMUTH: Other than the knife in the photo 58, I guess 57 and 58, anything unusual you see there? PATSY RAMSEY: This is my sewing kit, the little box. TRIP DEMUTH: That is in 58? PATSY RAMSEY: Sewing box. I can't make out what these little things are here. The detergent, spray starch and fabric softener, and there is something on top. TRIP DEMUTH: Photo 57? PATSY RAMSEY: Uh-huh. (Inaudible). Something behind the Tide box. I don't know what that is. ironing board, vest or bow tie (0775-14) LOU SMIT: Also on photograph number 58, that's a photograph of the upstairs laundry room area? JOHN RAMSEY: Uh-hum. LOU SMIT: There is a knife on the counter. What do you recall about that? JOHN RAMSEY: Um, nothing. 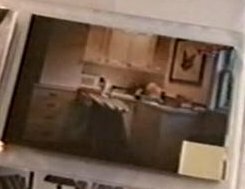 That looks like a kitchen -- a knife that would normally be in the kitchen. It's hard to tell. Looks like it might be a grapefruit knife or something. We normally didn't prepare any food at that counter. LOU SMIT: Do you ever recall that knife being there before? JOHN RAMSEY: I don't recall, no. (0776-04) LOU SMIT: There is an item on the ironing board in that photograph, on photograph number 58, do you know what that is? JOHN RAMSEY: Not for sure. Kind of looks like a vest of some kind, but, like a bow tie.LOU SMIT: Is that something JonBenet would wear or -- something she would wear? JOHN RAMSEY: I don't recognize it. -- (0337-21) TRIP DEMUTH: Fifty-nine. PATSY RAMSEY: (Inaudible). I don't know what that is (inaudible). Cloth object (0774-07) JOHN RAMSEY: I don't know what that is on the stairway. LOU SMIT: (INAUDIBLE). LOU SMIT: On photograph 59, there was something noted at the top stair pictured on that photograph. It's kind of a cloth type object. I am just trying to but Mr. Ramsey did not know what that was. Gifts in bags (0337-24) TRIP DEMUTH: Sixty. PATSY RAMSEY: Back door out to the patio. These are some gifts that were in the bags. TRIP DEMUTH: In the lower right-hand corner of photo 60 those are the bags of presents that you talked about earlier. PATSY RAMSEY: Right. TRIP DEMUTH: Otherwise that is fine. PATSY RAMSEY: Yeah. TRIP DEMUTH: PATSY RAMSEY: That looks like the inside door to the patio. Paper sack, something black and red (0774-17) LOU SMIT: Mr. Ramsey, I would like to ask you a question if I could. On photograph number 60, what is that a picture of? 20 JOHN RAMSEY: A picture of the hallway door going out. LOU SMIT: That goes out the south door, right? There are some items located in the right of that picture. Could you tell me what that is? JOHN RAMSEY: Well, it look like a paper sack. Something black and red, but I don't know what it is. (0775-04) LOU SMIT: Would that have something that you were packing for Charlevoix or would that -- does that look -- JOHN RAMSEY: It's -- we wouldn't normally pack in a paper bag. Sort of gifts or something. I took most of the gifts up, prepacked them. That's a funny place to have left them if those were for Charlevoix. If they left them anywhere, they would be left at the door going to the garage. A dead bolt (0338-11) TRIP DEMUTH: Sixty-one. PATSY RAMSEY: That looks like it would be in the locked position. Dead bolt. Patio door is locked (0776-13) JOHN RAMSEY: That's the back door, looks like it's locked. LOU SMIT: The back door to? JOHN RAMSEY: The patio. LOU SMIT: And that's photograph number 61. Garage door was closed 12/26/96 (0338-14) TRIP DEMUTH: Sixty-two. PATSY RAMSEY: My messy garage. That is looking out over the car, the door that leads out to the patio. Christmas declarations there. TOM HANEY: Is that door pretty much locked or is it used. It looks likes it is -- PATSY RAMSEY: Well, it is locked around this time of the year because I had all of these Christmas ornament boxes out there, but it is usually locked. (0338-23) TOM HANEY: In the garage there, the garage door itself. PATSY RAMSEY: The big one here. TOM HANEY: Yeah. Was that down in the morning? PATSY RAMSEY: Yeah. TOM HANEY: Do you remember closing it when you got home that night, or did John? PATSY RAMSEY: I don't remember specifically that. We usually came in, closed the door, hit the button. TOM HANEY: Pretty much routine? PATSY RAMSEY: Yeah. Jaguar, JonBenet's coat she wore to the Whites (0339-11) TOM HANEY: Photo 63. PATSY RAMSEY: Uh-huh. TRIP DEMUTH: Which vehicle did you take to the lake, was that the white Jaquar, is that what that is? PATSY RAMSEY: (Inaudible). Yeah, I'm almost sure. Yeah, I think it is. And there is JonBenet's coat back there. TRIP DEMUTH: Is that the coat she wore that night? PATSY RAMSEY: Yeah. I think so. 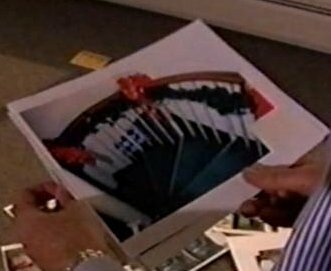 JonBenet's jewelry kit, earings, sunglasses, paper (0339-22) TRIP DEMUTH: Sixty-four. PATSY RAMSEY: This is the door between the cloak room there out to the garage. These are bells in the back door. This door was definitely kept unlocked. TOM HANEY: Could you hear the bells if you opened the door? PATSY RAMSEY: Yeah. TRIP DEMUTH: Could you hear it from the bedroom? PATSY RAMSEY: Doubtful. This is the hallway looking out to the patio. This is like a little jewelry making kit, a bead maker. This is for JonBenet. TOM HANEY: Earlier. PATSY RAMSEY: Yeah, I couldn't tell. (0340-09) PATSY RAMSEY: That is (inaudible). A little package. It looks like -- don't know. Isn't that a stain or something? TOM HANEY: Is that something with the bead making kit? PATSY RAMSEY: Maybe. I believe it is stacked up here. Earrings and sunglasses and papers and things. TRIP DEMUTH: All is normal? PATSY RAMSEY: Yes. Jay's uncashed check, desk, clock, a sock (0340-21) TRIP DEMUTH: That was 65. Now look at photo 66; do you recognize that? PATSY RAMSEY: No. I mean -- I mean, I know Jay Olenski, (phonetic) but I don't that. TRIP DEMUTH: Is that on the shelf there? PATSY RAMSEY: Oh. TOM HANEY: I think it is upside down. PATSY RAMSEY: It looks like it might be. John could stack mail there to take out to the office. Trying to see. This looks like a desk. This is some kind of lip. Okay. 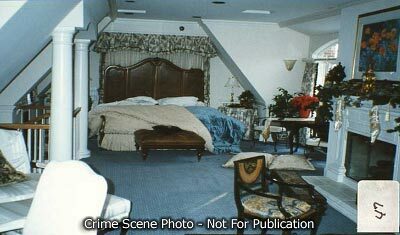 The living area again, looking in JonBenet's room. The fire (inaudible). TRIP DEMUTH: It might be part of the clock. PATSY RAMSEY: The red and green. Red and black or something. A sock. Check on table (0776-23) LOU SMIT: Perhaps 66 is a photograph of a check. Do you recall that? JOHN RAMSEY: Yeah. I had in effect loaned Jay that money, when I bought his building. And he paid me back. I just hadn't deposited it. LOU SMIT: Do you know where that was located? JOHN RAMSEY: I think that was, looks like it was the dish rack in the back hallway, right there. About that little table. LOU SMIT: Okay. JOHN RAMSEY: Some checks or something on the table. Patsy gave $10 JC Penny Scarves as gifts and Santa Claus too (0341-12) TRIP DEMUTH: Photo 67 at the bottom, do you know, do you recognize what that is? PATSY RAMSEY: I don't know. A piece of ribbon or something. I don't know. Maybe there is another picture looking another way. TRIP DEMUTH: Maybe. Could it be one of the scarfs that you handed out at the Christmas party? PATSY RAMSEY: It could be. TRIP DEMUTH: Did you have extra scarfs laying around? PATSY RAMSEY: Not really. I mean, John had his that Beth gave him from a school trip to Scotland or someplace. And then I had given one to everybody, all the men, at the party on the 23rd. I gave Santa Claus one, and then I -- there were various plaids, but mostly red and some plain red ones. (0342-03) PATSY RAMSEY: Do I have that somewhere, because I would know the difference between John's and the one I bought from JC Penny like for $10. TOM HANEY: I have another picture of another scarf later on. PATSY RAMSEY: John's was heavier wool. TOM HANEY: Does that look like a scarf to you? PATSY RAMSEY: Well, it could be. It is hard to tell from the angle, but now that you said that, it could be, you know, kind of bunched up, you know. TRIP DEMUTH: Okay. PATSY RAMSEY: Put this back in here. Spiral Staircase Sconces (0342-16) TRIP DEMUTH: Yeah. Sixty-eight is right here. PATSY RAMSEY: These are the sconces I was telling you about in the den. TRIP DEMUTH: So 68 is a photograph of the sconces you were talking about over the spiral staircase; correct? PATSY RAMSEY: Right. Patsy Painting Area (0342-24) TRIP DEMUTH: Okay. Sixty-nine. PATSY RAMSEY: Down to the butler kitchen area, the coat rack that I had set up for the party. A tray, yeah. I don't know. Here is the door in there. (0343-17) TRIP DEMUTH: You used to have your painting materials in the butler kitchen; right? PATSY RAMSEY: Right. TRIP DEMUTH: Where were they? PATSY RAMSEY: Right here. Right in this area. TRIP DEMUTH: Just in the central area or was it off to the side? PATSY RAMSEY: Well, this wasn't a real big space. So it had the easel kind of set up right there and the sink was there to wash, and the (inaudible) area. TRIP DEMUTH: You had a paint tree also, a tray, or I don't know what you call -- PATSY RAMSEY: It was like a little utility carrier with paint in it and stuff. JonBenet's Easter basket, candles, ribbons, school project box, Train area, grapes, card table, sink, golf clubs, end table (0346-15) PATSY RAMSEY: Well, JonBenet's Easter basket. And this looks like a little wall. They had taken off the wall in the living room where the Christmas tree was at, and miscellaneous candles and things, ribbons. This is the box where I started to keep paper work from the kid's school projects. The train area in there. TOM HANEY: The boxes, the red one is on file, it says that's crafts. PATSY RAMSEY: Grapes. That is like grapes that I put on the Christmas tree, like the artificial, and that looks like a card table in five. There is a sink sort of area here. And (inaudible). Golf clubs. TOM HANEY: Whose are those? PATSY RAMSEY: Those are John's. TOM HANEY: Does he play much golf? PATSY RAMSEY: No. Chair blocking train room door (0277-09) LOU SMIT: I wanted to direct your attention, if you could, John. This photograph 71, and especially in the entryways there and into the various rooms. Now this must have been taken fairly early on the morning of the 26th. Can you describe what you see there? - (0277-18) JOHN RAMSEY: What is difference is, I think that the door is blocked by this drum table. Here's the chair I said was brought to the door. And it's not. I moved the chair to get into the door. If this was taken before I was down there -- well I put it back. When I went down there, that chair was kind of blocking that entrance right there. Golf Clubs (0275-08) LOU SMIT: Okay. This here is a photograph. (INAUDIBLE) you golf clubs, okay? Now, you're a golfer, I assume? - (0275-25) LOU SMIT: By the way, that's photograph number 374. And that photograph was taken during the crime scene investigation after the search warrant was obtained. So that was after. Now I have photographs 72 and 71. And these are photographs taken during what we can describe as the kidnapping phase, when the crime scene techs were there. - (0276-14) JOHN RAMSEY: Well, it's obviously been moved around some. This bag has been moved, looks like. MIKE KANE: Which one are you referring to? JOHN RAMSEY: A purple bag with my name on it. Somebody got wine on 12/23 ?? Burke's old bike in wine cellar (0348-21) TOM HANEY: Seventy-two. PATSY RAMSEY: Okay. This is back, this is what we referred to as the (inaudible) cover, these are (inaudible) painting here. When were these pictures taken, before we found JonBenet? TRIP DEMUTH: Yes. PATSY RAMSEY: See that door is locked there, because there is a little tab thing on there. TOM HANEY: Is that the way it is normally secured with that, is it a block of wood? PATSY RAMSEY: Uh-huh. TOM HANEY: And how firmly or loosely is that attached? PATSY RAMSEY: You mean the wood? TOM HANEY: Yes, the wood, the block. PATSY RAMSEY: Well, you know, it bends, you know. I mean, you have to turn it. (0349-13) HANEY: You have to actually apply some force? PATSY RAMSEY: Right. TOM HANEY: Would it be capable of down on its own? PATSY RAMSEY: No, I don't know, and I wasn't always -- you know, I was hiding some Christmas presents and stuff back in there for Christmas. TOM HANEY: Okay. Do you recall -- PATSY RAMSEY: What I was going to say, I mean, after bringing the stuff up out of there after Christmas, I would not have specifically necessarily locked it because it kind of drags on the carpet. TOM HANEY: All right. PATSY RAMSEY: So I can't say that I personally left it neat and tidy shut and closed after I had gotten all of the toys out of there. (0351-12) PATSY RAMSEY: Okay. You know, it wasn't like a full-blown wine cellar, but we kept a couple boxes of wine in there. And I want to say that -- I don't remember whether it was the night of the 23rd, that party or some party we had, I remember somebody saying we are out of red wine. And I said please (inaudible) to or something. But at some time, please go to the basement to get some more red wine, but he would know where that was. (snip) (0352-06) TRIP DEMUTH: Okay. In the months prior to Christmas of 1996 Fleet would have gone in there? PATSY RAMSEY: I would say Fleet, cleaning lady and -- TRIP DEMUTH: Maybe the husband? PATSY RAMSEY: Maybe the husband and maybe the daughter. (0353-13) TOM HANEY: What else was stored there? PATSY RAMSEY: That is what I was trying to think of. I had a little bicycle of Burke's, a little Batman, the first bicycle with little tiny wheels. I couldn't bear to part with that. Part of it was broken, I think. Boiler Room Window (0355-08) TOM HANEY: Okay. Seventy-three. PATSY RAMSEY: This is a little window where the cord would come in from the lights outside. TOM HANEY: Is there something through that hole at this time there? PATSY RAMSEY: Yeah, that orange. (inaudible). TOM HANEY: That is for the exterior lights, the Christmas lights? PATSY RAMSEY: Uh-huh. Burke's Train Set (0355-18) TOM HANEY: Seventy-four. PATSY RAMSEY: Burke's train set up. The washer and the dryer in the basement. Gift wrapping in basement (0355-21) TOM HANEY: Seventy-five. PATSY RAMSEY: Seventy-five, where I wrapped Christmas. PATSY RAMSEY: The laundry room. TOM HANEY: You would wrap them there and store them in the wine cellar? PATSY RAMSEY: Right, or if we were going out of town. (0356-12) TRIP DEMUTH: That is in photo 75, and you are pointing at the long rod type of object to the left of the washer and dryer. Okay. TOM HANEY: Do you have a lawn sprinkler? PATSY RAMSEY: Uh-huh. Front Door, Mail Slot Basket (0356-17) TRIP DEMUTH: Seventy-six. PATSY RAMSEY: This the front door, inside the front door. That is the main door and (inaudible). TRIP DEMUTH: What about the fliers? PATSY RAMSEY: The fliers would have been back in the back corner back here. TRIP DEMUTH: The basket we see in the picture of 76 is not the one the fliers were in. PATSY RAMSEY: No. This is the mail, what the mail was dropped in. PATSY RAMSEY: They would have been back in -- TRIP DEMUTH: To the left in the corner? PATSY RAMSEY: Yeah. TRIP DEMUTH: Okay. PATSY RAMSEY: And another smaller basket with a handle. I don't see it yet. No, I don't see it. Front Door, Burnt lamp, Rubber bands (0358-24) TOM HANEY: Something is the toy soldier. I think we might have skipped one. PATSY RAMSEY: That is the back of the front door (inaudible). This is one of the -- second one is where the lamp post got burnt that must have been on. TRIP DEMUTH: Talking about the second white switch from the left on the switch panel? PATSY RAMSEY: Yeah. TRIP DEMUTH: In photo 77. PATSY RAMSEY: I don't know what this is. TRIP DEMUTH: Okay. PATSY RAMSEY: Are those rubber bands? It looks like red rubber bands on the door knob. I think when I would get the newspaper in the morning I would take the rubber band off and put it on that. Table, Gingerbread house, Jar, Cereal Bowl, Glass (0357-11) TRIP DEMUTH: Okay. Seventy-eight. PATSY RAMSEY: Our kitchen table. This is where the kids had made gingerbread houses. The gingerbread house sitting there. There is a little box I kept my Christmas cards in. TRIP DEMUTH: On the right? PATSY RAMSEY: Yeah. It looks like a little Noah's ark. The Nutcracker. This is a bowl, a cereal bowl, that glass there. A canister or a jar, a jar. Oh, maybe a cup of coffee. This is the dining room. TOM HANEY: Anything else in that one, 78? PATSY RAMSEY: No. Runner, flower arrangement (0358-16) TOM HANEY: Seventy-nine. PATSY RAMSEY: That is the dining room. This is a runner going down the middle. These are flower arrangements. A big (inaudible) thing. TOM HANEY: Everything looks normal? PATSY RAMSEY: Yeah. Jacket with fur on back of stool, JonBenet's pottery bowl? (0359-22) 22 TOM HANEY: Eighty. PATSY RAMSEY: (Inaudible). This looks like the jacket I was talking to you, the leather one with the fur. TOM HANEY: That is on a stool in the kitchen? PATSY RAMSEY: The back of the kitchen stool, yeah. TRIP DEMUTH: Photograph 80; right. TOM HANEY: Do you know what kind of fur that is? PATSY RAMSEY: I don't know. It is a strange name. TRIP DEMUTH: And -- PATSY RAMSEY: Model, see the bow [bowl?] right here, JonBenet and I made that in a pottery place. TRIP DEMUTH: That is on the -- PATSY RAMSEY: Counter. TRIP DEMUTH: On the left side of the photo. PATSY RAMSEY: That looks like a (inaudible). TRIP DEMUTH: Anything look out of place? PATSY RAMSEY: (Inaudible). TRIP DEMUTH: Okay. #082 -- -- John Ramsey (6/98) (0777-23) LOU SMIT: Yes. In photograph 82, do you know whose car that is in front? JOHN RAMSEY: I don't. I don't recognize any of them. (INAUDIBLE) car. Smudges on garage screen door (0778-04) JOHN RAMSEY: I am not sure what this is in the garage door in 86. Smudges on it. LOU SMIT: It's possible it's a fingerprint. (MULTIPLE SPEAKERS.) JOHN RAMSEY: This door, screen door. Statue of Pierre outside Sun Room door where hidden key was put (0360-20) TOM HANEY: Eighty-nine now. PATSY RAMSEY: Outside the sliding door. TOM HANEY: These are still -- if I'm not mistaken -- this is still earlier in the morning? PATSY RAMSEY: Something red here, can't tell what it is. TOM HANEY: On the ground behind the little tree. Nothing in 89 other than the one where the little red spec is? PATSY RAMSEY: Yeah. (0362-24) TOM HANEY: There has been talk about hidden keys outside. Did you -- did you regularly leave a key hidden somewhere? PATSY RAMSEY: I, at one time, used to leave a key under Pierre. Pierre is a little statue guy. This guy right here. You push him back, there was a little key. He sat still on a platform. 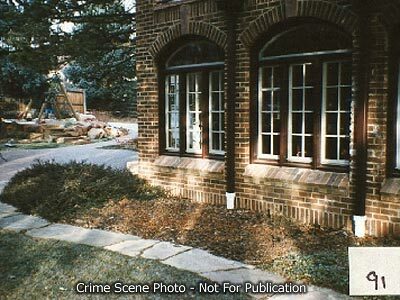 TOM HANEY: He is outside the door by the sun room? PATSY RAMSEY: Right. He is on a little platform, and if you lean him back, there was a key under there. 14 TRIP DEMUTH: We see Pierre in photo 89. Kidnapping Phase -- Patsy Ramsey (6/98) (0360-06) PATSY RAMSEY: There is the door there. This door (inaudible). Is that the (inaudible). TRIP DEMUTH: Looking through the door. PATSY RAMSEY: The door is the glass.TRIP DEMUTH: That is photo 90; right. PATSY RAMSEY: Right. TRIP DEMUTH: Nothing unusual about 90? PATSY RAMSEY: Well, trying to figure out what is right inside that door. Not unusual to kind of block that door, because when we had the Christmas tree we moved it around and shut it to put the furniture in. Back Patio, South Side (0217-21) LOU SMIT: Now, I'm going to show you some photographs, if I can? 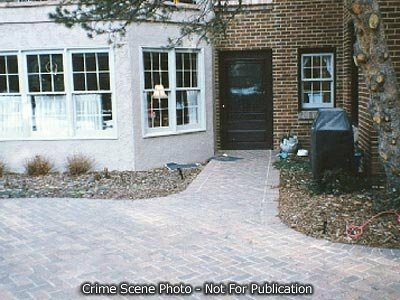 These photographs I'm showing you here right now -- initially when the police were there during the kidnapping time period, some kind of crime scene techs did come in and they took pictures and they did some work inside the house. But picture number 92 was taken fairly early on. Can you tell me what area that is of the house? 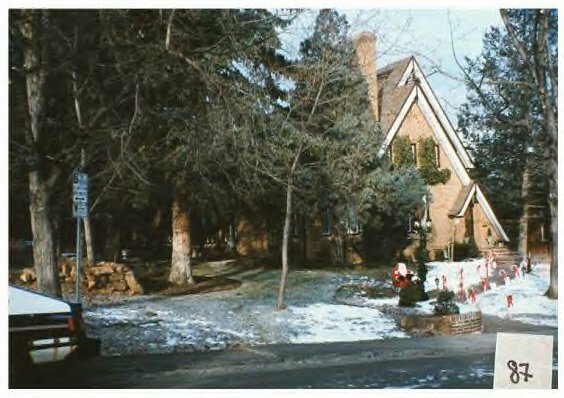 - (0218-5) JOHN RAMSEY: Well, it's the back patio, looking at the house from the south side. This is the door into the dining room. This is the door into the hallway, the back hallway. And this was early that morning? Blue New Years Invitation (0360-17) TOM HANEY: On 92 now. PATSY RAMSEY: Little toy Christmas things. TOM HANEY: (Inaudible). PATSY RAMSEY: (Inaudible). TRIP DEMUTH: I think, Patsy, in photo 92, we will see in 93 also, I think that blue thing is the New Years (inaudible). Any idea how it got there? PATSY RAMSEY: No. No. No idea. TRIP DEMUTH: You can see a little better in 93. PATSY RAMSEY: (Inaudible). Patsy NEVER used a house key EVER (0361-03) TOM HANEY: What about 94 now? 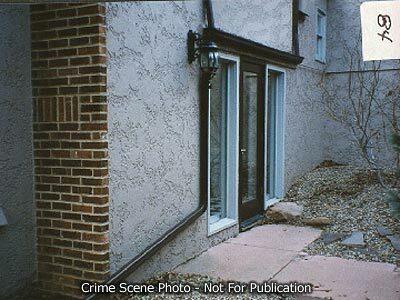 A lot of the photos in this last group we are looking at now were the exterior showing the windows and doors. As far as the doors -- I know this was asked before, key control, and it was something that was not existent. PATSY RAMSEY: It was not really controlled. TOM HANEY: Do you remember the last time that you ever had the locks changed in the house since the time you moved in? PATSY RAMSEY: No. (0364-08) TOM HANEY: What was your usual method though for coming in? PATSY RAMSEY: Garage door opener, go in, and then the inside garage door was unlocked. I had never used the house key ever. TOM HANEY: Did you ever hide a key on the cars? PATSY RAMSEY: No. Screen door was cracked previously six months to a year PRIOR (0778-12) LOU SMIT: Which door is that, John, on 94? JOHN RAMSEY: 94. Was cracked. LOU SMIT: Where is that located on the diagram in back of you? JOHN RAMSEY: That should be -- LOU SMIT: Again that door to the south patio door? JOHN RAMSEY: Right. And the screen door latch should be right here. I think that was used before. 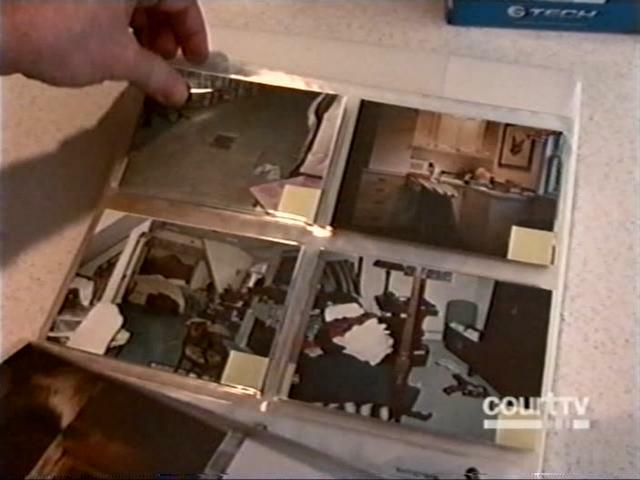 (0779-01) BRYAN MORGAN: If I understand it, all of these were taken in the early stages of the kidnapping scenes, which means early in the morning. LOU SMIT: Yes. (0781-07) MIKE CANE: Could I just ask a question. I think it was 94, you said about this door. Is that the one that you were talking about had been damaged before? JOHN RAMSEY: Yes. MIKE KANE: How did that get damaged? JOHN RAMSEY: I think that the little twist knob quit working, and we either had to -- something that went through it without opening it or I pulled it open to get -- I don't remember. But I think it had to do with the knob itself. Came loose. MIKE KANE: And how long before this was taken was that? JOHN RAMSEY: Oh, it would have been six months or better. MIKE KANE: Okay? JOHN RAMSEY: Six months to a year. Patio chairs stolen (0365-22) TOM HANEY: You are talking about right up to the right of the door knob is discoloration or a smudge or fingerprint powder or one of these things. PATSY RAMSEY: Four patio chairs, somebody stole two of them. TRIP DEMUTH: Nothing unusual in 95 or 96 other than the markings on the door? PATSY RAMSEY: Yeah. (0365-06) PATSY RAMSEY: All chopped up here. It looks like it has been -- was that the -- is that clothes or where it folds to close there? TRIP DEMUTH: I think it is the screen door that is open with the interior door closed. PATSY RAMSEY: Okay. TRIP DEMUTH: Does that look about right? PATSY RAMSEY: Yeah, it does. This looks off. (Inaudible). I can't tell if it is scratched or if it has been dug at or something. TRIP DEMUTH: Do you know anything about that? Have you seen that before. PATSY RAMSEY: I don't remember. I don't know. This looks like a (inaudible). TOM HANEY: That is photo 96; right. Wagon, Trash can (0366-05) TOM HANEY: Ninety-seven. PATSY RAMSEY: The back of the house; the garage door; the wagon; the trash can. TRIP DEMUTH: Nothing out of place? PATSY RAMSEY: No. TRIP DEMUTH: Okay. Trash can is where you left it? Skate board, Burke's sled (0366-12) PATSY RAMSEY: Yeah. Ninety-eight, this is white, a sail board or whatever it is. TRIP DEMUTH: Okay. PATSY RAMSEY: That is Burke's sled. Snow conditions (0366-16) TOM HANEY: Ninety-nine. PATSY RAMSEY: I don't know. TOM HANEY: A little snow here, there has been a lot of talk about the ground conditions outside. You went to the door, the front door, to meet the first officer who came, did you go outside? PATSY RAMSEY: No, not beyond just the threshold there. TOM HANEY: When you looked out, do you recall, was there anything on the ground, on the ground or on the walkway or -- PATSY RAMSEY: I don't remember being on the grass, no. - (0367-11) 11 TOM HANEY: The snow that I'm talking about here is what jogs this with me. PATSY RAMSEY: Patchy. TOM HANEY: I'm not talking that. I'm talking a little light dusting or frost or anything like that. PATSY RAMSEY: No. John Fernie's van, Lamp post ON (0367-18) TOM HANEY: Ninety-nine. One hundred. PATSY RAMSEY: The front of Fernie's car. TOM HANEY: The van in photo 100; right? PATSY RAMSEY: Right. There is, the lamp post is on. TOM HANEY: Did you just turn that on at the beginning of the Christmas season? PATSY RAMSEY: Yeah, pretty much left it on. TOM HANEY: Because it is on in a previous photo that you identified. PATSY RAMSEY: Uh-huh. TOM HANEY: Okay. TRIP DEMUTH: Anything else unusual about 100? PATSY RAMSEY: No. Who's film? (0780-09) LOU SMIT: On 107 there is a water bottle, John is unsure who that belongs to. JOHN RAMSEY: Now is this film on -- LOU SMIT: They take a picture every once in awhile to show the time. So forth, that photograph -- JOHN RAMSEY: That's their film? LOU SMIT: That's their film, yes. JOHN RAMSEY: That's Priscilla White I believe in the corner with a cup of coffee. John in green shirt (0780-21) LOU SMIT: On 108 shows a picture of Priscilla White in the corner. Who is the gentleman? JOHN RAMSEY: I think -- I think that's me with a green shirt on. LOU SMIT: That's in the foyer area, isn't it? JOHN RAMSEY: Right. And I don't know who else, detective -- I don't know. (INAUDIBLE). LOU SMIT: Okay. 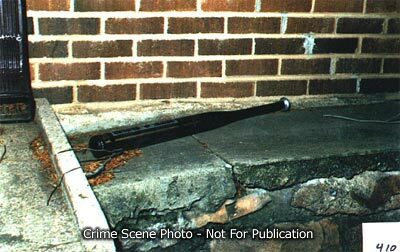 BPD Crime Scene Photo Discussion - Rope found in John Andrew's Bedroom ? (0535-16) LOU SMIT: But he could have had things there in his backpack? JOHN RAMSEY: It wouldn't have been out of the question. LOU SMIT: Just for the camera, the photographs we are looking at is photo 113, 114, 115 and 116. - (0535-24) BRYAN MORGAN: May I ask just one question. Can you tell us if this is the form in which it was originally found? LOU SMIT: No, that's the bag it was put in for evidence. BRYAN MORGAN: So the paper bag is just in evidence. LOU SMIT: Evidence bag. And again that was just found in the room, and it was found in a bag in her room, that's all I can tell you at this time. Paper Bag (police bag) (0519-07) TOM HANEY: Next we have photos that are numbered 113. PATSY RAMSEY: Uh-huh (yes). TOM HANEY: Which is a paper bag. PATSY RAMSEY: Uh-huh (yes). TOM HANEY: And then 114 is the contents of that. TRIP DeMUTH: The paper bag is a police bag and this came out of here. PATSY RAMSEY: Oh, this was in here? TRIP DeMUTH: Correct? PATSY RAMSEY: Oh. TRIP DeMUTH: And there's another picture of that same item in 115 and 116. Why don't you look those over at your leisure. PATSY RAMSEY: I don't recognize it, specifically. Rope (contents of paper bag) (0520-01) TOM HANEY: Okay. And that, that particular piece of rope, do you ever remember seeing anything like it around? And if you look at photo 115, you notice the -- PATSY RAMSEY: Right. TOM HANEY: -- ends are unusually secured. PATSY RAMSEY: Right. No. 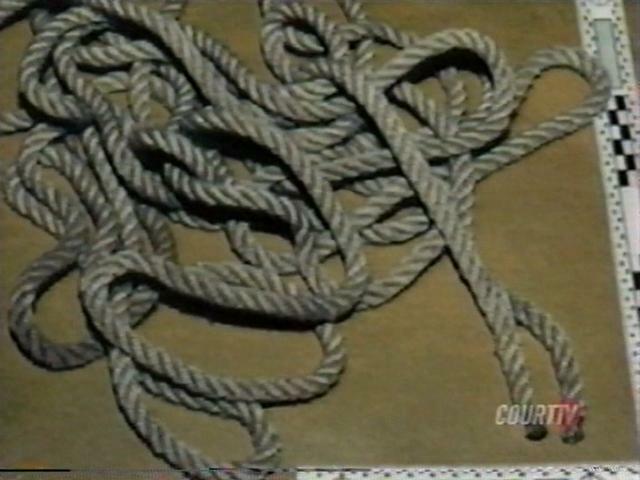 TOM HANEY: Can you think of any reason to have that kind of rope around? PATSY RAMSEY: I've just never seen ends like that, done like that. John had some, you know, boat ropes and things up at the lake, but it seems like when they cut those, they kind of melt the ends of them or something to keep them from fraying or something. I've never seen one done like that. 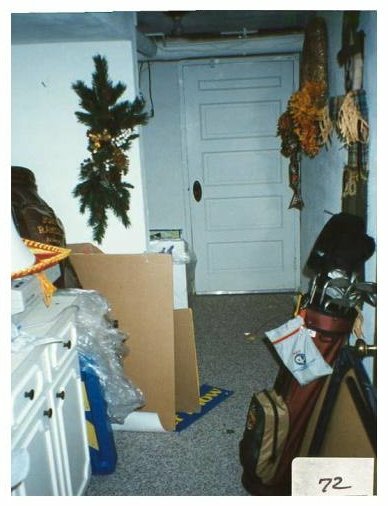 Bag or something hanging on JonBenet's door (0782-02) LOU SMIT: (Handing next sheet of photographs). Now we are getting into the -- I'd like to direct your attention to 115. What does that show you on that now? JOHN RAMSEY: Well, it's a door with a bag or something hanging on it. I guess it looks like it's probably the backside of that door. 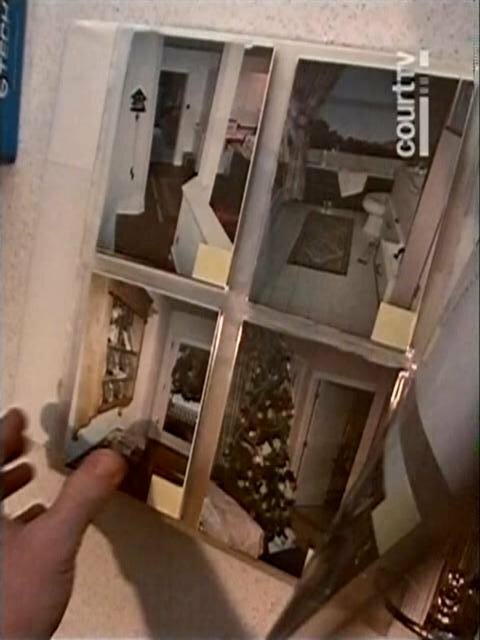 LOU SMIT: Which is JonBenet's room? 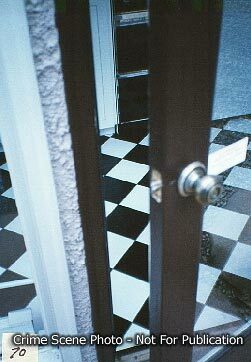 JOHN RAMSEY: JonBenet's room door. LOU SMIT: Is that something that she would normally do, is hang a bag on it or could it be normal or -- JOHN RAMSEY: It could be normal. It's possible, yeah. This then is still kind of unusual. 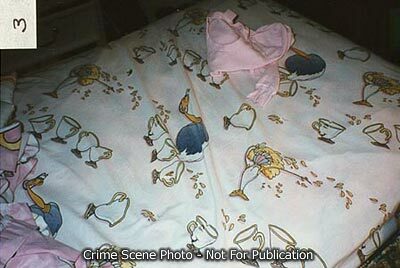 A tie, Patsy's sweater, JonBenet's pillow at end of bed (0782-21) JOHN RAMSEY: The tie on 121. LOU SMIT: Is hanging over the edge -- JOHN RAMSEY: Is hanging over the edge of the bed, and is disheveled. LOU SMIT: Okay. 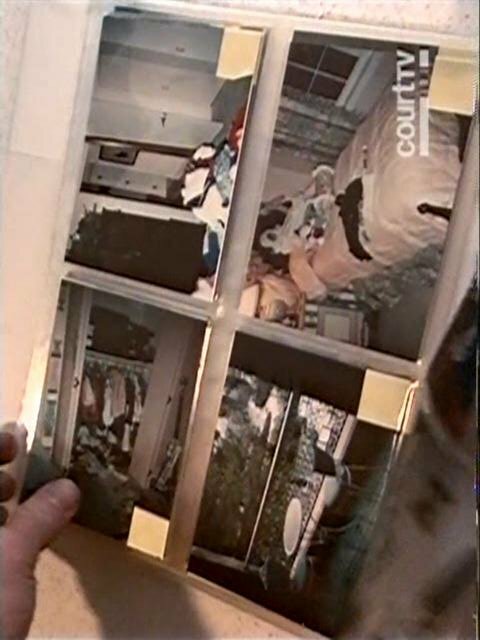 (0783-02) LOU SMIT: John, I would like you to look closely at photographs 123 -- 122, 123, 124 and 125, and those are mainly that area of JonBenet and see if you see anything there that looks out of place or is different or anything that rings a bell with you. (0783-10) LOU SMIT: For instance, what is this multicolored -- JOHN RAMSEY: Well, I think it's a sweater of Patsy's, but -- VOICE: Is that on JonBenet's bed? LOU SMIT: Is that a sweater that Patsy normally -- JOHN RAMSEY: Well, it looks kind of like one of the sweaters, but she could tell for sure, I would say for sure, obviously. That's what struck me as one of hers. I am pretty sure that's Patsy's sweater. LOU SMIT: Do you remember when the last time that was that Patsy wore that or anything? JOHN RAMSEY: No, I really don't. (0784-01) LOU SMIT: How about the pillow? JOHN RAMSEY: Well, if it's a pillow it should. LOU SMIT: Is that normally that? JOHN RAMSEY: Probably, I just don't remember it. Might have been. It matches the sheet and (INAUDIBLE). I don't know why it would be at the end of the bed. Kids slept on pillows at the head of the bed. Case of wine, paint cans, a box (0380-02) TOM HANEY: 143 is the wine cellar with the door open? PATSY RAMSEY: Right. The screens and it looks like a case of wine, paint cans, a box. Glass block? (0381-16) TOM HANEY: 144. PATSY RAMSEY: That is the little glass block. Barbie Nightgown (0381-19) TOM HANEY: 145. PATSY RAMSEY: What is the pink thing? TOM HANEY: We have next up, we have some close-ups of the two items in 145, which is the white blanket and the paint can. 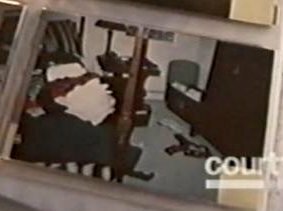 So if we take -- and if we skip to the other numbered one and go to -- there is a black and white dated 11 February of '97, and this is a photo in, I believe, a plastic container still, would that be the blanket that was on the bed? PATSY RAMSEY: Yeah. 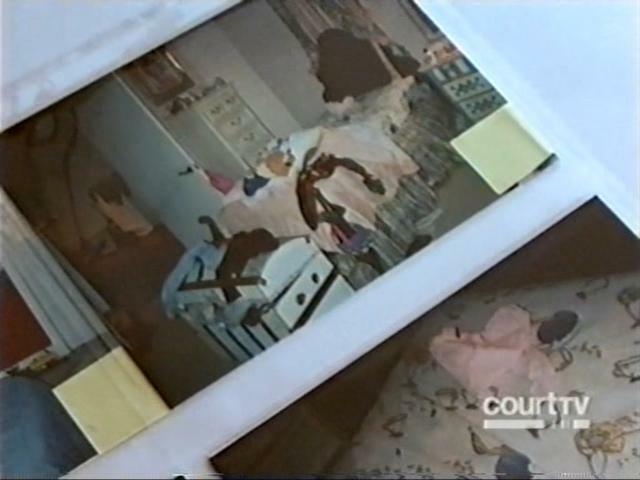 TRIP DEMUTH: That is JonBenet's blanket on her bed in her bedroom? PATSY RAMSEY: I could say that, yes. (0382-07) TRIP DEMUTH: Looking at picture 145. PATSY RAMSEY: Okay. What is this pink -- what is that? TOM HANEY: We will show you a photo of that in just a second. Just want to get through some of these first of the blanket itself. PATSY RAMSEY: This looks a little -- (inaudible). TRIP DEMUTH: This was sent to CES, so every piece of trace evidence that was ever collected by a lab, so all of that is going to be documented. 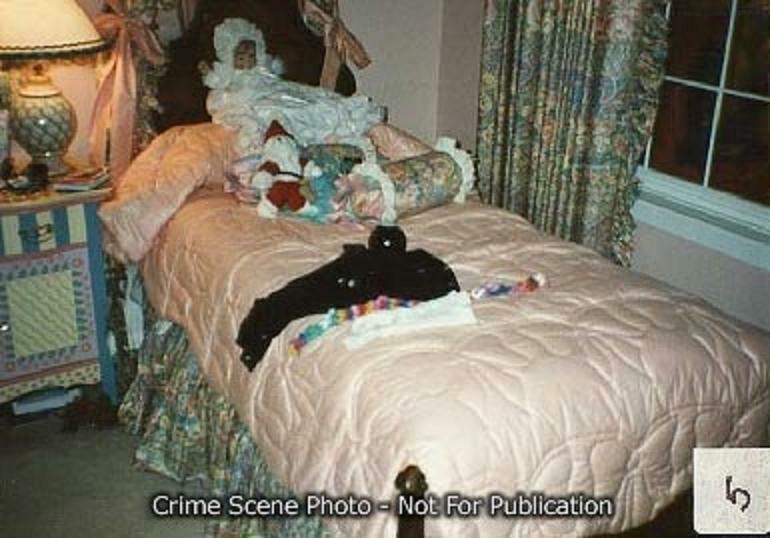 Our main concern is that you believe this is JonBenet's blanket on her bed. PATSY RAMSEY: Yeah. (0383-01) TOM HANEY: What is it? PATSY RAMSEY: It is her Barbie nightgown. TOM HANEY: Is that hers or her Barbie doll's? When would she have worn that last, do you know? PATSY RAMSEY: Well, she didn't wear it that night because she had her -- she had the long underwear pants and her little white shirt. And the night before on Christmas Eve night she wore the pink little (inaudible) that was under her pillow. You saw that. And before that I don't remember. But neither of those two nights she wore that. TOM HANEY: Where would this particular -- well, let me back up. Does this item have some particular significance? PATSY RAMSEY: No. No. 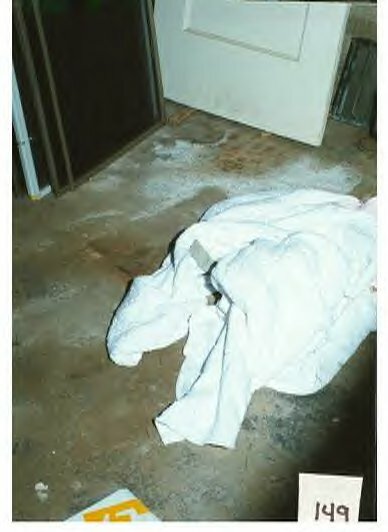 John says nightgown in wine cellar looks more like one for JonBenet's Barbie doll (0686-16) LOU SMIT: I would like to show you photograph number 145, and this is a photograph of the wine cellar and it was taken at after the body was found. But John, I would like you just to take look at this, and again difficult photograph, but tell us what you see. JOHN RAMSEY: Well, that's looking in the room from the door, I see the blanket that looks like the one that was around her. There is a pink something, pink -- I think that's the nightgown or. LOU SMIT: That's what I was going to inquire about. It is a nightgown, it is a pink one, it is a Barbie nightgown? (0687-07) JOHN RAMSEY: It looks like it's a shinier material than I remember. (INAUDIBLE). That looks more like what I kind of remember was on the Barbie doll itself. LOU SMIT: That one does? JOHN RAMSEY: Right. If I had to speculate, that looks too shiny, the material, but it seems to me I remember that Barbie doll had a shiny pink nightgown thing on it. 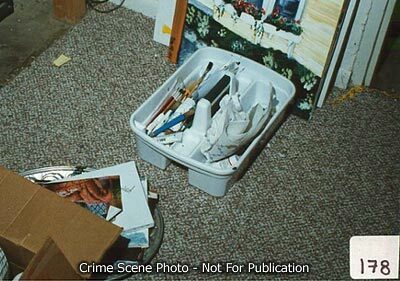 Paint Tray, Painting Patsy did (0399-04) TOM HANEY: Photograph, I think is 178, that is that tray of paint brushes that we talked about earlier. PATSY RAMSEY: Right. TOM HANEY: Is that where it is located? PATSY RAMSEY: Well, like I said, Linda took all of the paint stuff out of the butler kitchen there when she took it to the basement. And to tell you the truth, I never really paid too much attention where she put it. - (0399-05) TRIP DEMUTH: Here is the wine cellar. PATSY RAMSEY: Oh, okay. It could have been. I don't know. TOM HANEY: Do you recognize what that is behind it there? PATSY RAMSEY: Yeah. That is a painting I did. Paint Tray, Patsy's paintings, Paper towel (0286-05) LOU SMIT: And that's photograph 178, by the way. - (0286-07) JOHN RAMSEY: It looks like it's sitting outside the door of the wine cellar. Were these pictures (INAUDIBLE)? - (0286-22) JOHN RAMSEY: Right. I can't even tell. I'd say it looks like art supplies and then some paint. That's painting Patsy had painted. (0286-25) LOU SMIT: That's on photograph 178? - (0287-01) JOHN RAMSEY: Yeah. Looks like stuff I couldn't recognize as some paper towel in this picture. I don't know what this is. Paint Tray, Artist brushes (0275-10) 10 LOU SMIT: I'd like to show you a series photographs. It starts at photograph 175, 178, 181 excuse me, 179, 180 and 181. and I'd just like to show these photographs to you. 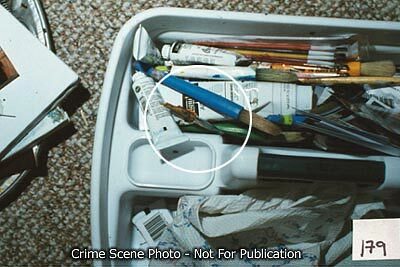 - (0285-20) JOHN RAMSEY: Well, it's a tray of artist's brushes; it looks like, which I presume was Patsy and JonBenet's. They liked to paint together. Looks like some paints. Can't tell what that is on that side. 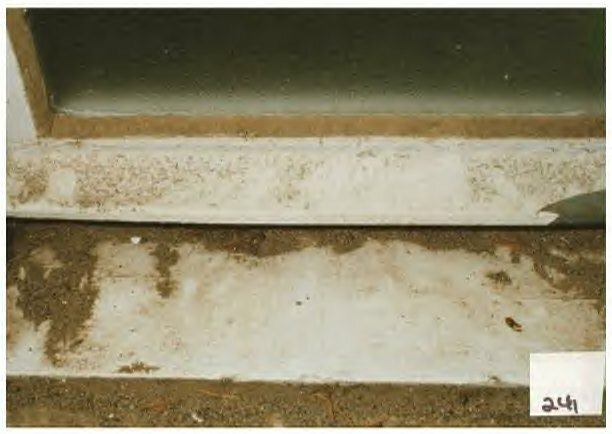 White Blanket on concrete floor (0287-04) LOU SMIT: That's 182. That's just a photograph of a -- What is that photograph of? - (0287-06) JOHN RAMSEY: It looks like the blanket on the concrete floor. And that's quite possible. It could have been the white blanket she was wrapped in. - (0287-10) LOU SMIT: Where was that blanket on her kept? - (0287-12) JOHN RAMSEY: I don't know. Patsy said that it came off her bed. - (0287-14) LOU SMIT: Is it something that was on JonBenet's bed? - (0287-16) JOHN RAMSEY: Well, according to Patsy, yeah. That was the blanket that was on her bed. No, I just can't tell what that is. I don't know. - (0287-19) LOU SMIT: That's on photograph 182? - (0287-20) JOHN RAMSEY: Um hmm. Ornament wine cellar (0399-25) TOM HANEY: Next one is number 182. TRIP DEMUTH: I think it is a piece of an ornament. - (0400-11) TOM HANEY: All of that has been collected. You kept your Christmas trees in there; right? PATSY RAMSEY: Right. Oh, yeah; right. TOM HANEY: With or without ornaments? PATSY RAMSEY: Well, without mostly, - (0400-21) PATSY RAMSEY: Usually because the one coming from my bedroom had crystal on it - (0401-13) TRIP DEMUTH: Okay. Do you remember any ornaments in this room when you were going -- PATSY RAMSEY: Putting packages in there? TRIP DEMUTH: Any broken glass or anything on the floor that you recall? PATSY RAMSEY: No. I just don't recall. - (0401-22) PATSY RAMSEY: Yeah. Well, I mean, it is kind of a scruffy room. It wasn't like a clean floor, so there could have been a broken one there. Ornament wine cellar (0288-09) LOU SMIT: There's also photographs 183 and 184 that are taken in conjunction with that. Photographs of the wine cellar floor. And I want to show this to Mr. Ramsey. 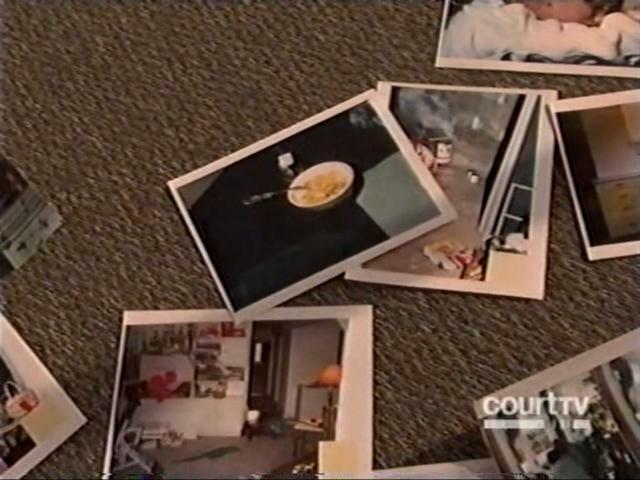 These, again, were crime scene photographs after the search warrant was obtained. JOHN RAMSEY: Well it looks like it could be a Christmas ornament. It looks a little bit (INAUDIBLE) like the hook of the top of a Christmas ornament. It wouldn't be unusual to find one broken in that room. New Years Party (0784-11) LOU SMIT: Now we are going to go kind of into later on when the photographs were taken later on the next day. And that photograph 204, what is that a photograph of? JOHN RAMSEY: Well, that's the same screen door going out on to the patio. LOU SMIT: That's the south door? JOHN RAMSEY: Right. LOU SMIT: Again that's the damage? JOHN RAMSEY: Right. I think that was -- that was there. Well, the door was locked at least in the picture, the inside door, but it seems to me I remember it was split, but -- LOU SMIT: Okay. So that's damage to the door, that's the south door, it could have been -- JOHN RAMSEY: It was split at least, there was some damage, yes. There was bicycle tread tires, that's what they look mountain bike tire. (0785-07) LOU SMIT: I am going to interrupt your train of thought just a little bit. Do you know a Carl and Frances Tuney (phonetic)? JOHN RAMSEY: Tuney? LOU SMIT: It's like a lawyer or something, maybe invited you to a -- JOHN RAMSEY: I know Frances Draper. LOU SMIT: Draper, that's it. JOHN RAMSEY: Somebody, she was our -- she worked for Access Graphics, she was our financial services manager, credit manager. LOU SMIT: Were you invited to a New Year's Eve party or do you remember anything about that? JOHN RAMSEY: (Shaking head). LOU SMIT: Do you know why -- (INAUDIBLE)? JOHN RAMSEY: No. -- (0542-08) LOU SMIT: I want to show you a photograph, a series of photographs from that same area, and I would like you to take a look at this, these photographs, they are numbered 234, 235, 236, 237, 238, 239, 240 and 241. 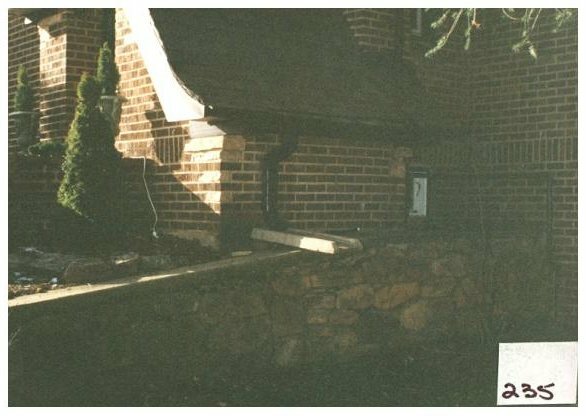 These are photographs that were taken at the crime scene of the area of the window, and that's -- of the north bathroom window into the home. And I would like to show these to John and first of all, I would like to ask you a couple of questions, if I can. That particular window goes into what room in the house, do you know? - (0542-25) JOHN RAMSEY: That goes into the -- that's a -- that window goes into the half bath that's on the first floor. LOU SMIT: First floor? Okay. Now look? JOHN RAMSEY: Is this the window, that kind of looks like the window in the picture. LOU SMIT: Yes. JOHN RAMSEY: That goes into that little bathroom in the basement that's at the bottom of the stairs. -- (0543-20) JOHN RAMSEY: Um, 235 is that same window we have been talking about, the bath would have been just to the right of this east trough or downspout, rather. I don't see the bath. There is no reason for that bath to there, we never run this side of house, you had to go, to get this, I mean there is like a big planting area here and there is not much there, it's an arrow and this side of the house we just never went on. Activity was from the front door walkway back to the backyard. -- (0544-10) LOU SMIT: Just go to the next photograph, maybe you'll -- that's 236? 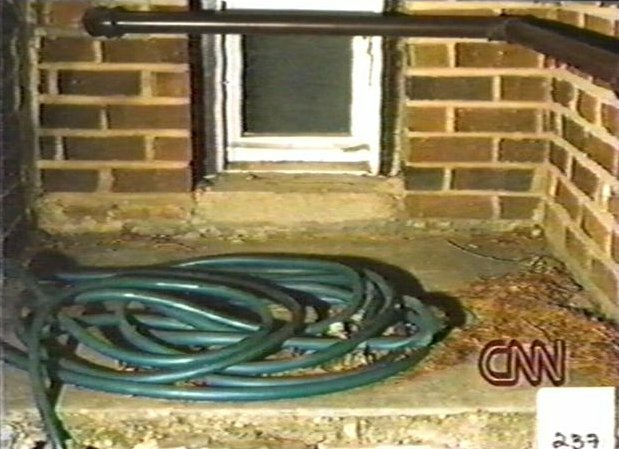 JOHN RAMSEY: The hose I think there was a faucet over this somewhere, exterior faucet, wouldn't be abnormal for the hose to be there, although I don't -- looks like it -- LOU SMIT: Does that hose -- where does that show in relationship -- JOHN RAMSEY: It's laying under, under that window. LOU SMIT: Okay. -- (0544-23) JOHN RAMSEY: I don't know what's on the window there, I can't tell. It looks like its smudged, however, the dirt is smudged. On the bottom sill. Like there is dirt, quite a bit of dirt moved in that sill area. And that -- and that's -- LOU SMIT: Do you know of anyone that's ever went in that window? JOHN RAMSEY: No, absolutely not. LOU SMIT: Could your children have played there and gone in that window? JOHN RAMSEY: No. -- (0545-11) JOHN RAMSEY: The same window. Just spring he had here and there. I don't know what this little yellow thing is. The ivies look a little beaten there for some reason. But back in the corner. Okay - (0545-21) JOHN RAMSEY: Well, I can't tell what's on the windowsill in the right-hand corner, but it almost like tape of some kind, but I can't tell. (0546-02) JOHN RAMSEY: Okay. The pine straw, there is no pine straw up against the window at all in this sill, whether it's all the way around it, that seems strange. That was kind of a deserted area of the house, we never got back there to -- you know, it was just a side of the house we never got to. So that definitely looks odd. -- (0546-10) LOU SMIT: Go to number 239. JOHN RAMSEY: It's not very clear. It's somebody has cleaned off that sill. In the center of it. And it looks like -- looks more like duct tape in that picture. I don't know whether there is dust on it, I can't tell. But that doesn't look at all normal. There is actually no pine straw on the sill or in the area in front of the sill. I don't see anything else in this. -- (0546-20) LOU SMIT: Okay, next one is 240. JOHN RAMSEY: Again, it's dirt has been disturbed. Looks like the window is calked, has been calked but not painted. Although that paint is in the old paint scheme, we didn't -- we had the house painted but it looks like the painter never painted that window. Because it's white and the windows were painted either gray or purple. So it looks like (INAUDIBLE). Like he just didn't get to that. Again, it's just, it's been disturbed. -- (0547-07) LOU SMIT: Okay. And then the last photograph, I think there is one more? JOHN RAMSEY: That's what I thought was tape, maybe chipped paint it look looks like now. Maybe (INAUDIBLE) or something. Under the light. It's definitely very disturbed in front of the window. I can't tell what this little item is here, right -- it's a dead bug or a seed or something. Basement Window, Suitcase (0238-18) LOU SMIT: I just have one more window. What I'm going to show is photograph number 252. In fact, I'll maybe hold it up for the camera, and I'll ask Mr. Ramsey, what does that show? - (0238-24) JOHN RAMSEY: Well it shows the window open and the suitcase. But the suitcase, when I first saw it, the suitcase was flat up against the wall and for some reason I felt like that window opened to the other side. JAR's Bedroom, rug, towels, notebook (0435-14) TOM HANEY: 278 there. PATSY RAMSEY: Okay. This is the bathroom. It looks like the bathroom rug, the bathroom, the guest room there, John Andrews room. A little notebook and some towels. I don't know what that is. Is that the binding on the book, that kind of greenish? A drawer, something red and black (0436-21) TOM HANEY: 279. PATSY RAMSEY: That looks like a drawer. 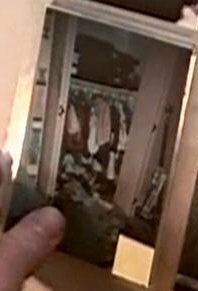 That is the drawer in the guest -- in John Andrew's room. TRIP DEMUTH: What is the red and black item? PATSY RAMSEY: I don't know. I can't tell. I don't know. TOM HANEY: Go ahead. 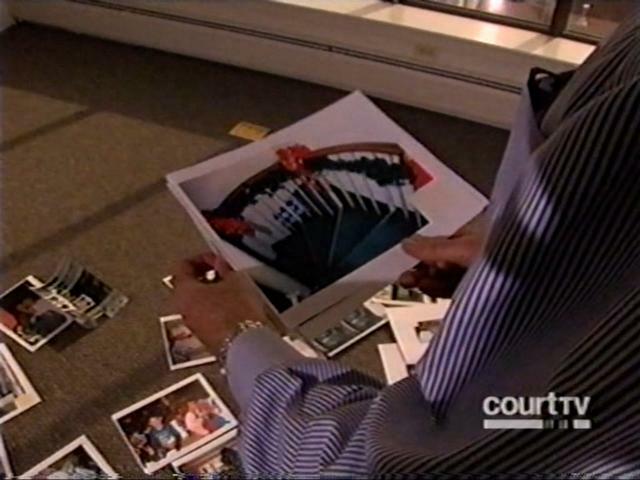 PATSY RAMSEY: I was going to say, do you have a picture of it blown up? TOM HANEY: No, we don't. PATSY RAMSEY: Okay. TOM HANEY: Can you tell us, identify the other items that are in there. PATSY RAMSEY: I can't. This (inaudible). John Andrew did (inaudible), that he would hang up. Looks like just clothes in there. Can't tell. Purple bow (0437-21) TOM HANEY: Okay. And 286 would be next. PATSY RAMSEY: This is the John Andrew's room again, that fabric. TRIP DEMUTH: Do you know what piece of furniture that is that the fabric is on? PATSY RAMSEY: I can't tell. A chair covering it when they were tossing pillows and the dust ruffle and the draperies coming down. (Inaudible). I don't know. A little purple bow or something. Golf Clubs (0275-08) LOU SMIT: Okay. This here is a photograph. (INAUDIBLE) you golf clubs, okay? Now, you're a golfer, I assume? - (0275-25) LOU SMIT: By the way, that's photograph number 374. And that photograph was taken during the crime scene investigation after the search warrant was obtained. So that was after. Now I have photographs 72 and 71. And these are photographs taken during what we can describe as the kidnapping phase, when the crime scene techs were there. - (0276-14) JOHN RAMSEY: Well, it's obviously been moved around some. This bag has been moved, looks like. MIKE KANE: Which one are you referring to? - JOHN RAMSEY: A purple bag with my name on it. (0460-09) TRIP DEMUTH: On 374 you can see the card table. Tell us what it looks like there, what you can see on the card table. - (0460-12) PATSY RAMSEY: The folded legs, there is a sticker on the bottom. - (0460-14) TRIP DEMUTH: Okay. It is up against. - (0460-15) PATSY RAMSEY: Up against the door. - (0460-16) TRIP DEMUTH: Is that normal? - (0460-17) PATSY RAMSEY: I don't know. You know, we just about that time of year, we start -- this table, this table had been something I was using up in the painting area when I was in that back kitchen there. So when Linda brought that stuff down there, maybe she just put it there. Basement Sink (0461-04) TOM HANEY: How about 375, just a close up again, and 376. PATSY RAMSEY: That looks like that might be that little sink in the basement. Yeah, the sink in the basement. I think that is the sink in the basement, yeah. TOM HANEY: Nothing out of the ordinary? PATSY RAMSEY: No. Wet bar open drawer by spiral staircase, where flashlight normally kept (0514-24) TRIP DeMUTH: Okay. And I wanted to flip back to photo 380, right there. PATSY RAMSEY: Right, yeah, one of those drawers. TRIP DeMUTH: One of the drawers that's depicted in 380? PATSY RAMSEY: Yeah. TRIP DeMUTH: Do you remember which drawer? PATSY RAMSEY: Well, I, I most recently remember it being, you know, right in this drawer. TRIP DeMUTH: The drawer that is open? PATSY RAMSEY: That's open there, yeah. TRIP DeMUTH: And that's the wet bar that's by the spiral staircase, right? PATSY RAMSEY: Right. TRIP DeMUTH: Okay. Okay. And now looking at photo 380, you don't see a flashlight in there, right? PATSY RAMSEY: Correct. Junk Drawer, Golf Ball, Tape, Pen (0461-12) TOM HANEY: 381. PATSY RAMSEY: Junk drawer. (Inaudible). Golf ball it looks like to me. Tape. (Inaudible), maybe. Junk. TOM HANEY: Another -- PATSY RAMSEY: Pen in the junk drawer. Can't tell where it is, either in the kitchen or in the bar area. TRIP DEMUTH: Do you know who that tape would belong to? PATSY RAMSEY: No, I don't. (Inaudible). John would know better than me. I never used it. I always used the clear stuff. Bar below circular stairs, mail (0462-01) TOM HANEY: 382. Try to keep them in order. PATSY RAMSEY: That looks like the top of the bar. TRIP DEMUTH: Which bar? 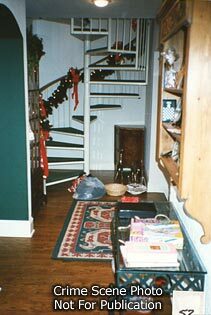 PATSY RAMSEY: The little bar area there below the staircase, the circular stairs. John's office or something, basket full of whatever, mail. I don't know. Basket with pen inside (0462-09) TRIP DEMUTH: 383. PATSY RAMSEY: The same basket with a pen in it. TRIP DEMUTH: That wouldn't be unusual? PATSY RAMSEY: No. I mean, you know, even the marker, the pens, they were all over the place. 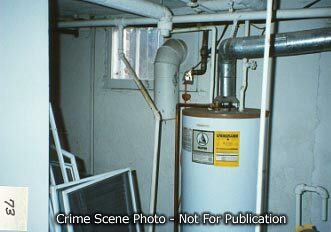 BPD Crime Scene Photo Discussion - Laundry area in basement ? Wall by laundry, Burke's PJs? (0462-15) TRIP DEMUTH: What about 384? PATSY RAMSEY: (Inaudible). Something hanging over the wall up there by the laundry to dry. TRIP DEMUTH: Do you recognize what they are? PATSY RAMSEY: It looks like pajamas or something. It looks like Burke's pajamas. TRIP DEMUTH: May be tights. PATSY RAMSEY: You mean leggings or something? TRIP DEMUTH: Right. PATSY RAMSEY: Can't tell whether they are adult or children. JonBenet's sweater, Bag with luggage tag? (0463-05) TRIP DEMUTH: Okay. 385, which is up here. PATSY RAMSEY: That is JonBenet's sweater. TRIP DEMUTH: The one we saw in the bedroom? PATSY RAMSEY: Yeah. TRIP DEMUTH: Does that have that blue item in the top of that photo, can you recognize it from that? No. PATSY RAMSEY: It looks like it is some kind of a bag with a luggage tag on it or something. TRIP DEMUTH: Do you have any idea? PATSY RAMSEY: (Inaudible). JonBenet's Velvet Gap belt worn to the White's (0463-16) TRIP DEMUTH: All right. Go back here. 386, do you recognize those articles of clothing? PATSY RAMSEY: This is her little velvet belt. TRIP DEMUTH: That is photo 386, it is the article of clothing on the right of the picture. What belt? PATSY RAMSEY: Little Gap belt. TRIP DEMUTH: Okay. PATSY RAMSEY: She would have worn to the White's. I can't tell where the (inaudible). The ones that (inaudible). Zip up. These kind of look like a plastic waist. I can't tell. TRIP DEMUTH: All right. PATSY RAMSEY: What is in the towel? TRIP DEMUTH: Is that JonBenet's mattress that goes around that? PATSY RAMSEY: Probably, yeah. Yeah, because I had to fasten it (inaudible). #387 After Search Warrants obtained -- Patsy Ramsey (6/98) (0464-14) TRIP DEMUTH: Okay. 387 may be nothing more than just miscellaneous laundry, but I want you to look at it. Tell us if there is anything in there that sticks out. PATSY RAMSEY: (Inaudible). #388 After Search Warrants obtained -- Patsy Ramsey (6/98) (0464-19) TRIP DEMUTH: We don't need you to identify anything. I want you to look at the photo. The same with -- I think it would be, let's make sure, it is buried, 388. Look at it, but look at the photo. PATSY RAMSEY: (Inaudible). #389 After Search Warrants obtained -- Patsy Ramsey (6/98) (0464-24) TRIP DEMUTH: Okay. 389, I believe we looked at that from another angle before. Anything you want to add? PATSY RAMSEY: No. Cotton in basement (0465-03) TRIP DEMUTH: Okay. 400 we've looked at before, a different angle. PATSY RAMSEY: Right. That is down in the basement. It is like cotton or something. TRIP DEMUTH: Do you know what that is? PATSY RAMSEY: I don't know why cotton would be there. TRIP DEMUTH: You don't recognize it? PATSY RAMSEY: No. TRIP DEMUTH: It doesn't mean anything to you? PATSY RAMSEY: No. TRIP DEMUTH: Okay. Tom. TOM HANEY: Do you ever remember seeing it in there? PATSY RAMSEY: No. (0468-04) TOM HANEY: How about the bat itself, does that look -- PATSY RAMSEY: Well, I can't say for sure. Burke would probably know. TOM HANEY: Do you know how many bats he might have had? Would he have had more than one? PATSY RAMSEY: I don't think so. I mean, I think that looks metal. Metal bats are pretty -- I mean, they are not cheap. So I can't imagine -- I don't think he had more than one, if he had one. TOM HANEY: But he did have one? PATSY RAMSEY: It seems like he had one, but I can't say for sure it was that one. Baseball bat (0541-06) LOU SMIT: I am going to show you another bat. It's photograph number 410. This was found in a different location and I will show you a picture of that bat. JOHN RAMSEY: Um, it's hard for me to tell whether it's similar, but -- LOU SMIT: Do you know what area of the house that is? JOHN RAMSEY: Looks like it -- I know what it is. It's -- it is there it is here -- it's probably right in here. LOU SMIT: The area of the north window? JOHN RAMSEY: Right. (0541-25) LOU SMIT: Do you ever recall seeing a bat there? JOHN RAMSEY: No, that doesn't belong there. When we played baseball we played right out here, because that's the only place you could hit a ball, and that yard kind of stretched back this way. But you know, I don't know why there would be a bat there. Cereal Bowl, Spoon, Glass, Tea bag (0469-22) TOM HANEY: That was 410. Now we move to 413, which is just the Boulder police photo ID, and then 414. - (0470-09) PATSY RAMSEY: That little ball there, it is kind of like a little cereal bowl, but it has this huge spoon sticking out of it, and this doesn't look right. It looks kind of (inaudible). And that is -- I don't know what this is, a glass or something. But it looks like it has a tea bag in there, and I don't know who would make tea with the tea bag hanging out of there, if it is a tea bag. Hard to tell. Bowl, Glass, Knives, Tissues (0206-22) LOU SMIT: This is a photograph that's taken of the dining room table. And it shows various things on the dining room table. Do you see the gingerbread houses? And then you see a bowl - (0207-4) JOHN RAMSEY: I see a glass with what looks like (INAUDIBLE). Tissues on the glass. A couple knives. LOU SMIT: Do you have any idea how that got on that table? JOHN RAMSEY: It might have been (INAUDIBLE) that's a big bowl. Family seating arrangement (0470-19) TOM HANEY: We will come to closer ones. Here is another shot here in 415. PATSY RAMSEY: Yeah. Oh, I see. That does look like a tea bag, doesn't it? TOM HANEY: It was taken on the 29th apparently. That is just a guess based on the Boulder police. 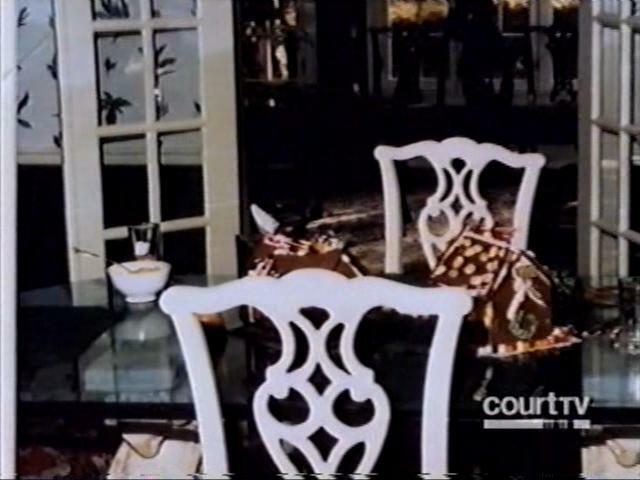 (0471-06) PATSY RAMSEY: This is the breakfast room off the kitchen. I didn't mean to interrupt you. TRIP DEMUTH: Where would people sit? Is that where you make your meals normally? PATSY RAMSEY: Yeah. TRIP DEMUTH: Which meals would you eat there? PATSY RAMSEY: Oh, dinner usually. We usually ate breakfast at the little counter at different times in the kitchen. (0472-02) TRIP DEMUTH: Could you tell us which seat? PATSY RAMSEY: This is mine. TRIP DEMUTH: The one on the right of the table as you look at photo 415. PATSY RAMSEY: This is John's. TRIP DEMUTH: On the left of the table. PATSY RAMSEY: Burke's. TRIP DEMUTH: Burke is the closest to us in picture 415, and JonBenet sat in the chair furthest from us in photo 415. That would be the chair closest to the kitchen; right? PATSY RAMSEY: Right. Patsy cleaned table (0472-15) TOM HANEY: As we get some close ups, more close ups here in 416 and 417. (0472-20) PATRICK BURKE: This is probably in the 12/29 roll. PATSY RAMSEY: That is definitely a tea bag. That is weird. Like I said, there were a lot of people around that morning. TOM HANEY: When was the last time you recall that table being cleaned off? PATSY RAMSEY: After -- well, we would have eaten pancakes together at that table on Christmas morning. And then I would have cleaned the table up. TOM HANEY: Okay. In the course of having the pancake breakfast, would a glass or a bowl like that (inaudible). PATSY RAMSEY: No. I can't tell what that is. Gingerbread house, Kleenix Box (0213-09) LOU SMIT: This is also another picture, picture 416, which also shows the same bowl, only it shows the gingerbread house, and there's some Kleenex on there and things of that nature. So I don't know. Is that the gingerbread house that the children were making? - (0213-15) JOHN RAMSEY: Yeah. It looks like it. This was like in -- Patsy would know. I'm not sure why a Kleenex box is there either. That's not normal for a Kleenex box. (0207-11) LOU SMIT: I'm going to straighten out the picture so we'll want a close up of everything. This is a photograph of 417. what does that represent there? JOHN RAMSEY: Well, it's a large spoon, not a teaspoon. It looks like Patsy's good silver. I guess that could be pineapple, I can't tell. But it could be. Some people (INAUDIBLE) pineapple to make it old and there's this teabag in an empty glass. I can't tell, but it looks like there is some milk or something. (0207-22) LOU SMIT: Who do you know would eat pineapple like that? Do you have any idea? JOHN RAMSEY: Well the kids like pineapple, but that's a big bowl and this is a big spoon and I can't imagine that the kids would have something like that at any time. Certainly not with iced tea, I don't think. They don't even drink iced tea. I think they do not. (INAUDIBLE) yeah. 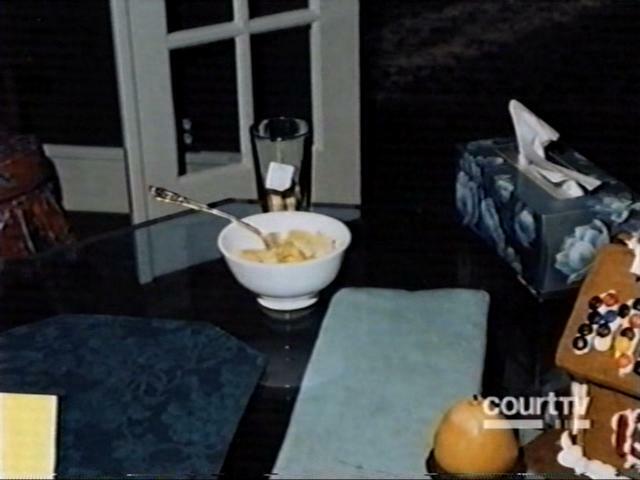 (0209-04) MIKE KANE: Do you recognize the bowl? JOHN RAMSEY: Oh, I don't know. I recognize the spoon, because it's a big serving spoon. It's not like a teaspoon. And that could be one of our bowls. We had white bowls like that. Patsy would recognize it for sure. It looks like our glass. LOU SMIT: Who would drink tea with a teabag in the glass? JOHN RAMSEY: Somebody who would drink tea, I guess. I don't know. I don't drink tea. Burke will drink sweet ice tea. I don't remember if JonBenet did, if she did. I mean, even for someone who's there and to get out that big of a bowl and put that much pineapple in it and just leave it. That doesn't make sense. MIKE KANE: That was a serving spoon? JOHN RAMSEY: It's a big serving spoon. I mean don't even have an answer. (210-01) MIKE KANE: Any other tea drinkers in the house? JOHN RAMSEY: Patsy drank tea. She likes sweet ice tea. - (212-03) MIKE KANE: While your doing that, could I ask, you said you had cans of pineapple normally would be kept in that pantry that's open. Do you ever by fresh pineapple (INAUDIBLE)? JOHN RAMSEY: We did not, not that I remember. No. I mean, we had -- JOHN RAMSEY: Well we had apples around; bananas, a lot of bananas. The kids loved bananas. Grapes, green grapes. Kleenix and who makes tea in a glass? 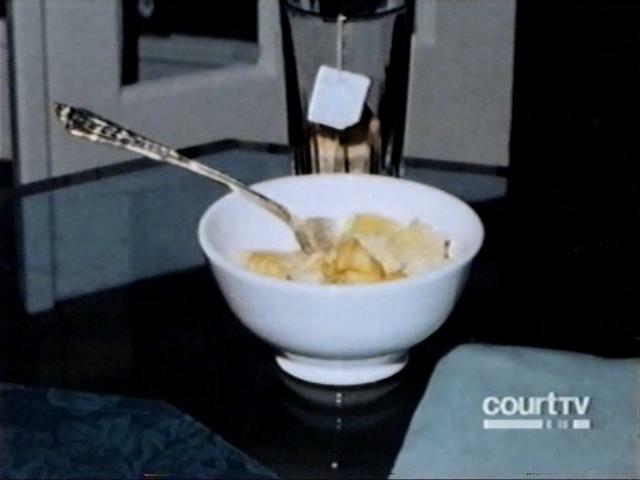 (0498-24) TRIP DeMUTH: Nobody uses tea like this in the glass in photo seventeen? PATSY RAMSEY: No. TRIP DeMUTH: You don't make tea in a glass? PATSY RAMSEY: No, it would break the glass. - (0500-15) TRIP DeMUTH: Okay. Do you recognize the glass with the tea bag in it? PATSY RAMSEY: The glass looks like ours. TRIP DeMUTH: All right. We talked about that already. (0499-06) TRIP DeMUTH: What about that box of Kleenex that's on the table? PATSY RAMSEY: No. TRIP DeMUTH: Is that supposed to be there? PATSY RAMSEY: Not really, no, I don't think so TRIP DeMUTH: Do you know where that came from, where that's supposed to be? PATSY RAMSEY: No. I mean, I had Kleenex around, usually in the kitchen, with a box in the bathroom. TRIP DeMUTH: Was there a box of Kleenex in that dining room at all? PATSY RAMSEY: I just -- not that I remember. It's unusual that Kleenex would be there. -------- -- John Ramsey (6/98) (0225-16) LOU SMIT: I'll start off first with these. These are photographs that were taken on the 30th of December. And this is a series of photographs, like I mentioned 418 through 425. (0786-14) JOHN RAMSEY: Okay. If that's the kitchen window -- LOU SMIT: Which one? JOHN RAMSEY: 431, 23, 33 it's hard to say. The kitchen window had a crack in it like that. LOU SMIT: And where was that kitchen window located, John? Baseball bat, pond off patio (0500-20) TOM HANEY: Okay. The next, excuse me, the next photos begin here at 434. PATSY RAMSEY: Uh-huh (yes). TOM HANEY: Outside photos. PATSY RAMSEY: Uh-huh (yes). There's not a baseball bat, or is that the same one? TOM HANEY: Well, the -- 435 is a close up of the one in 434. PATSY RAMSEY: I mean is this the same bat as the one on the other side of the house? (0501-08) TRIP DeMUTH: Okay. Where's the area in 434? PATSY RAMSEY: This is the back yard, there is the little pond, we have water in it, you know. TRIP DeMUTH: Off the patio? PATSY RAMSEY: Off the patio. More likely a bat would be here on the ground because this is more like the general area where they play baseball than the other picture. Baseball bat (0540-19) LOU SMIT: I am going to show you a picture, and again this is photograph number 434, it's a photograph of a bat and it appears to be in the yard and this is a close-up of the same bat and I would like to show both pictures and it's for photograph 435. JOHN RAMSEY: Well, that sort of looks like Burke's bat. I could probably tell exactly if it was or not, but looks familiar. It wouldn't be unusual for it to be lying out in the yard, because it just kind of just got dropped where it was left. Outside TV Room, Window lattice work (0504-06) TOM HANEY: 436. PATSY RAMSEY: This is outside of the T.V. room. - (0505-14) TRIP DeMUTH: The center of picture 436, the wood lattice work or whatever you call it that's in the panes themselves looks like it's displaced downwards -- PATSY RAMSEY: Right. TRIP DeMUTH: -- slightly? PATSY RAMSEY: Correct, uh-huh (yes). (0786-25) JOHN RAMSEY: Right here (indicating). LOU SMIT: Right above the -- JOHN RAMSEY: Above the (INAUDIBLE). Probably is what that is. That's a little peculiar, the way that's pried up like that. LOU SMIT: That's in photograph number -- JOHN RAMSEY: 437. LOU SMIT: Which window is that? JOHN RAMSEY: That's the window in the study. Center window of the study, looks like the top. It's pried up, partially pried up. LOU SMIT: Is that unusual? JOHN RAMSEY: Yeah, I don't remember that being that way at all. I don't -- I don't recall that either. Sun room door (0508-06) TOM HANEY: And 438. PATSY RAMSEY: That doesn't -- that looks like the sun room door. TOM HANEY: Okay. PATSY RAMSEY: Uh-huh (yes). TRIP DeMUTH: Why don't you look at 439, 440 and 441. What's that? PATSY RAMSEY: Yeah. Uh-huh (yes). That's kind of pried into, yup, this doesn't look right. (0508-16) TRIP DeMUTH: Now, do you remember that being there before, Patsy? PATSY RAMSEY: No, I don't. TRIP DeMUTH: Okay. Would you have remembered that, like let's say for example John Andrew, living in town, can't get in one day, maybe he tries to pry the door or something. I don't know that I'm just saying -- PATSY RAMSEY: Uh-huh, uh-huh (yes). TRIP DeMUTH: -- let's imagine that. PATSY RAMSEY: I mean, that's fairly big, I think I would have noticed that. No, that looks strange to me. (0787-19) JOHN RAMSEY: This is, let me make sure I have the right door, that is the door out of the solarium. LOU SMIT: Okay, that's on photograph -- JOHN RAMSEY: 438, 440, 441. That door opened out, which was a bit peculiar. It's chipped around the dead bolt lock. LOU SMIT: Do you recall that? JOHN RAMSEY: Uh-uh. LOU SMIT: Would you have recalled it? 6 JOHN RAMSEY: Well, not -- not hundred percent certain I would have. It could have been made by somebody closing the door with the dead bolt open. The two locks on the door, that dead bolt and the door handle itself. LOU SMIT: Did you normally keep that door locked? JOHN RAMSEY: That door is normally locked. It's rarely used. (0506-19) TOM HANEY: Okay. Could it have been there like that for some period of time? PATSY RAMSEY: Not, well, not -- I don't know what you consider some period of time but we, we had the outside trim all painted in recent -- TOM HANEY: When was that -- (0507-09) PATSY RAMSEY: No. I mean, we were doing a lot of painting in '94. TRIP DeMUTH: Okay. -- (0511-21) PATSY RAMSEY: Yeah, what is that, a finger, that smudgy fingerprint and stuff. TRIP DeMUTH: And you're looking at 580? PATSY RAMSEY: Yeah. TRIP DeMUTH: No memory of that? PATSY RAMSEY: Unh-unh (no). TRIP DeMUTH: Okay. Outside Butler pantry door (0512-03) TOM HANEY: The next, some more doors. Now, these are 581, 582, 83 and 84. Can you identify which door that is? PATSY RAMSEY: This is the door going to the outside off the butler pantry there, butler kitchen. - (0512-15) PATSY RAMSEY: And there's some dirt or smudge or something, but, you know, we really truly weren't back in this area very much, so I wouldn't have had much occasion to see the door from out here. TRIP DeMUTH: Okay. PATSY RAMSEY: From outside looking in like we're doing here.